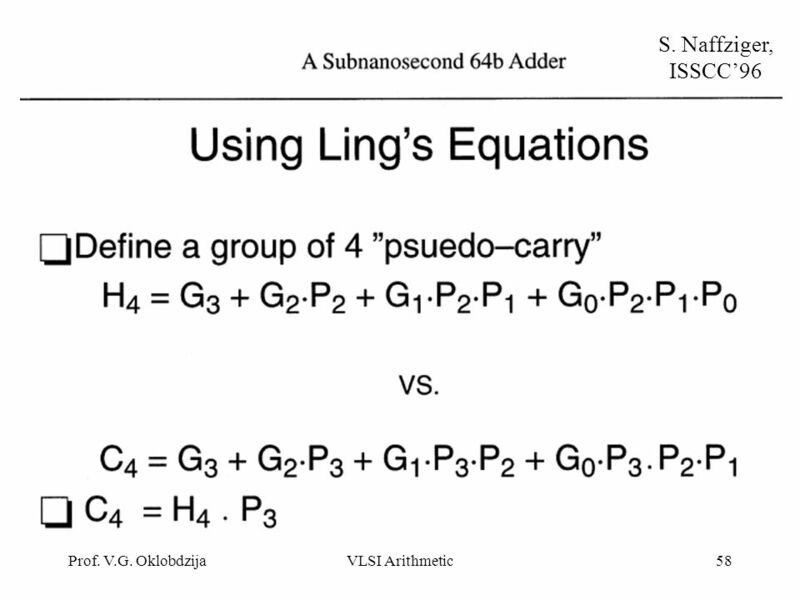 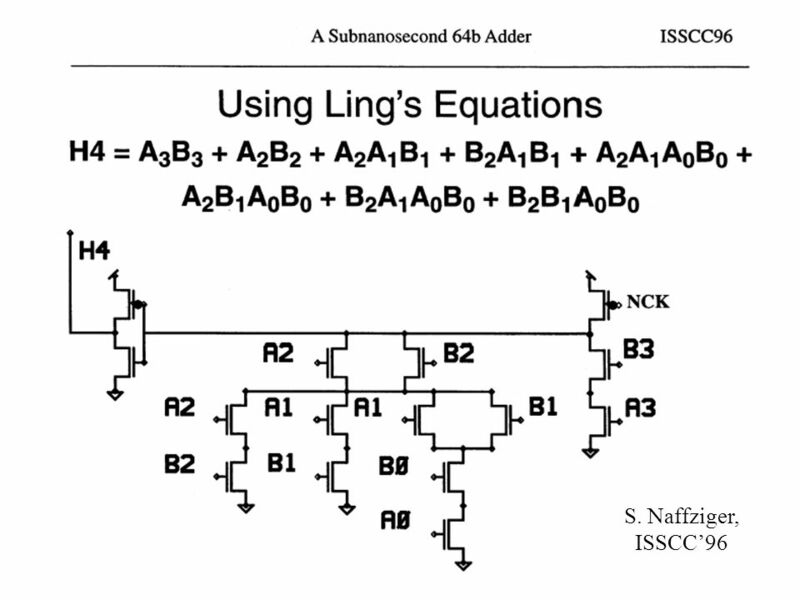 74 Carry-Select Adder Addition under assumption of Cin=0 and Cin =1. 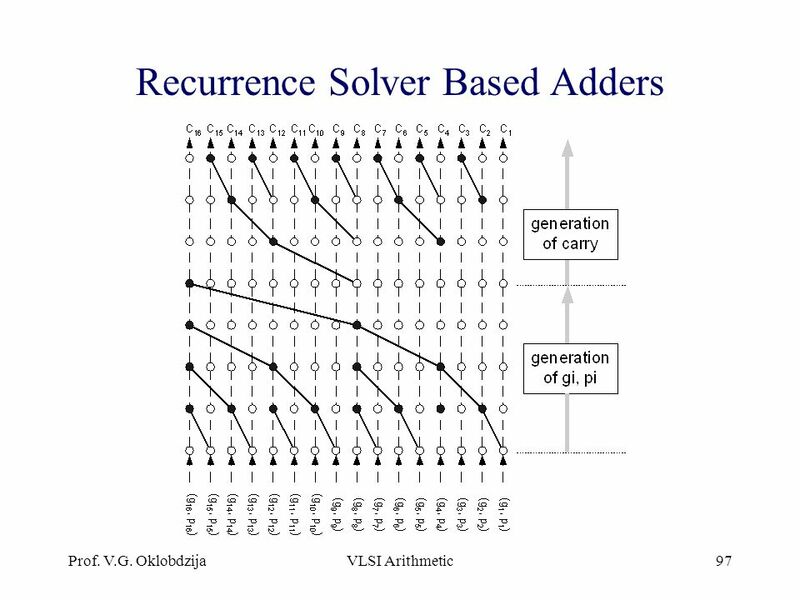 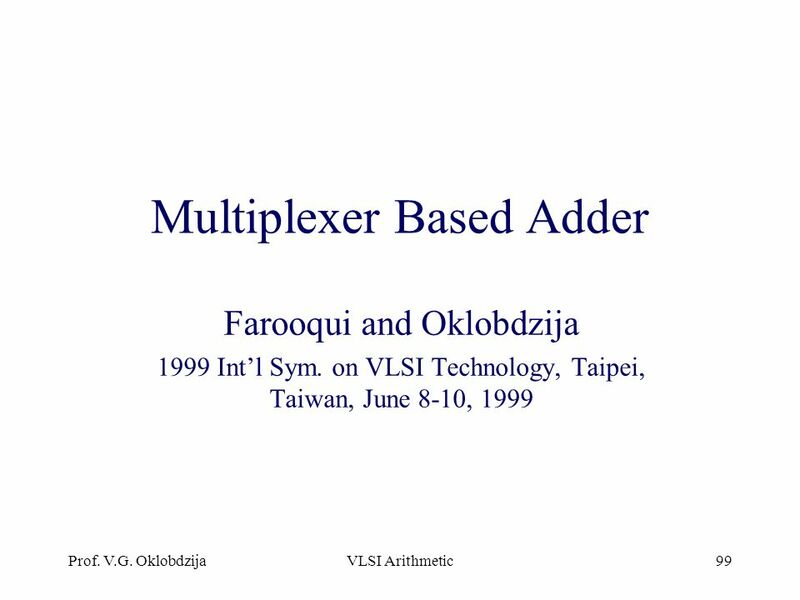 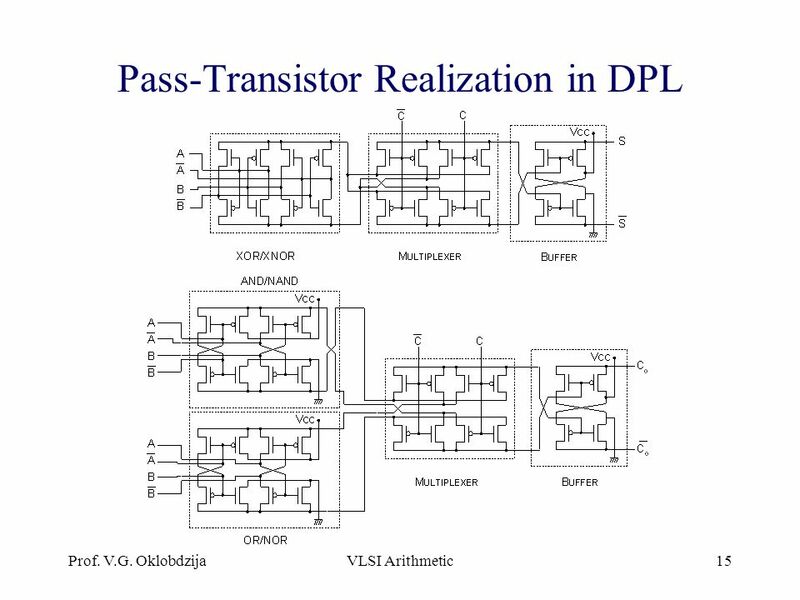 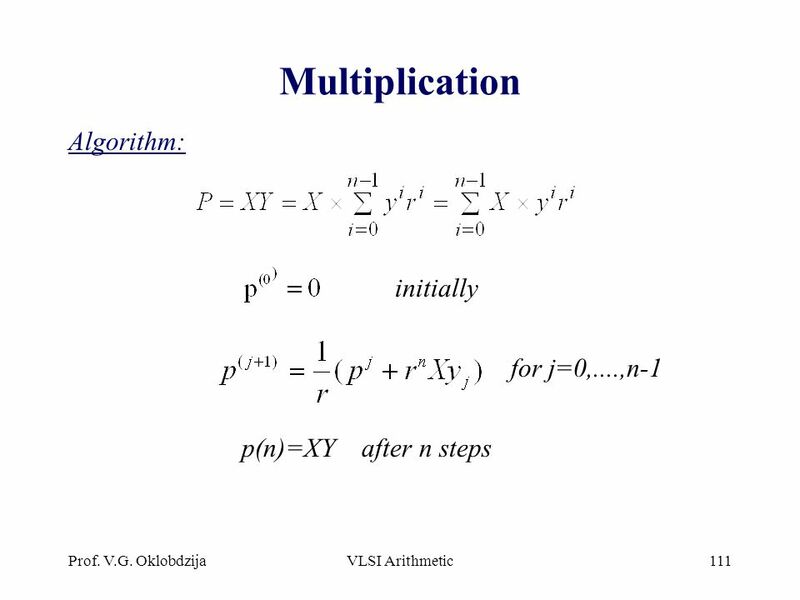 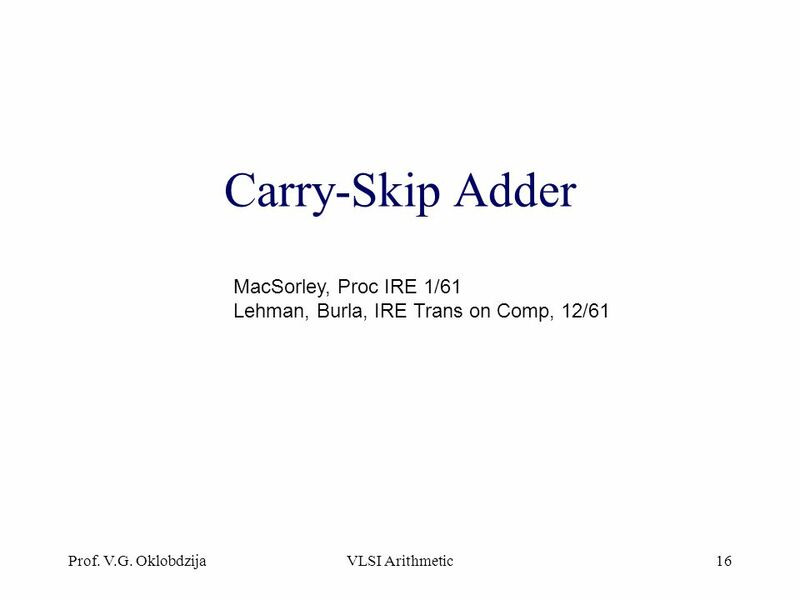 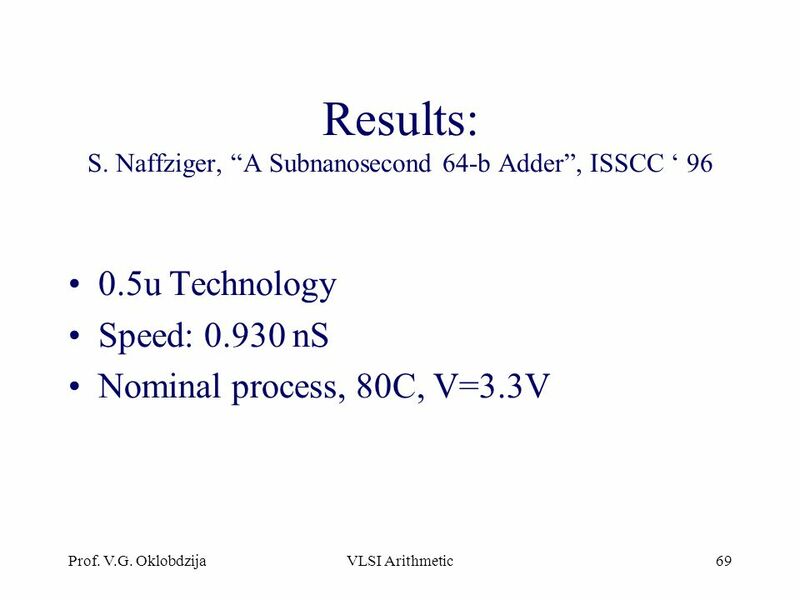 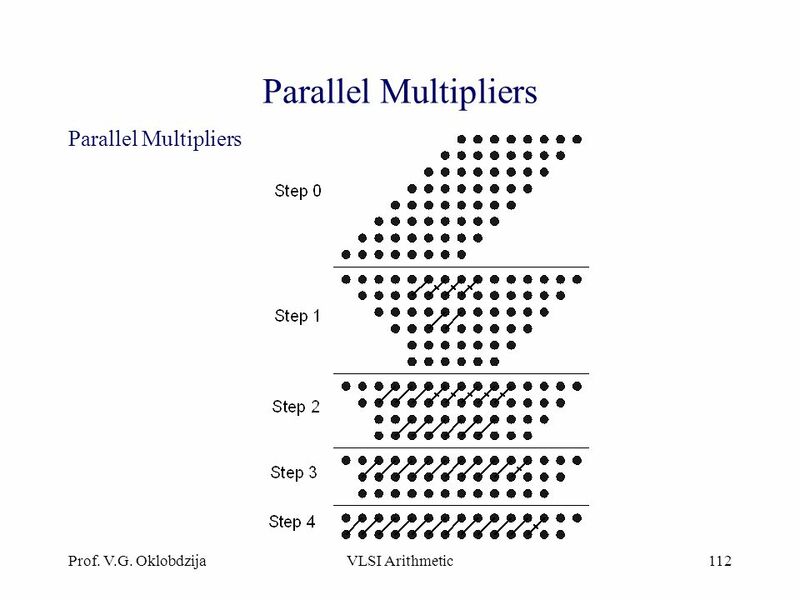 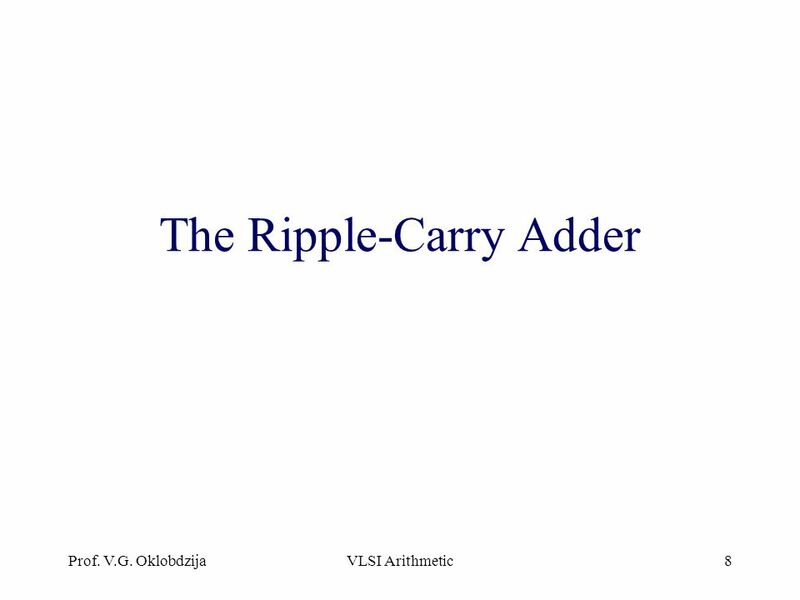 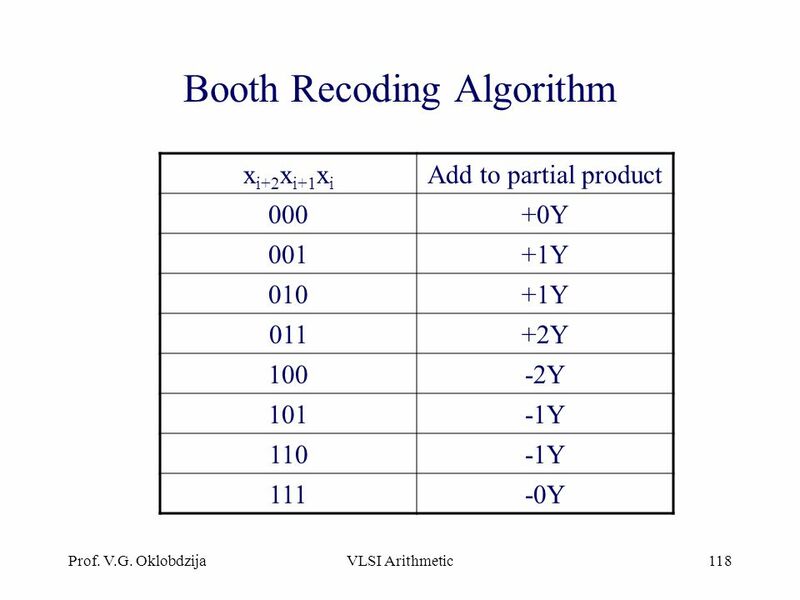 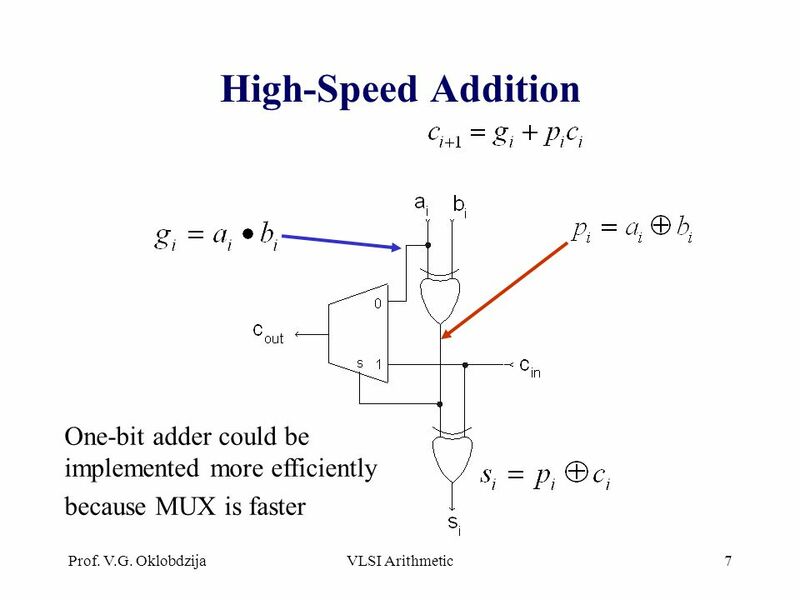 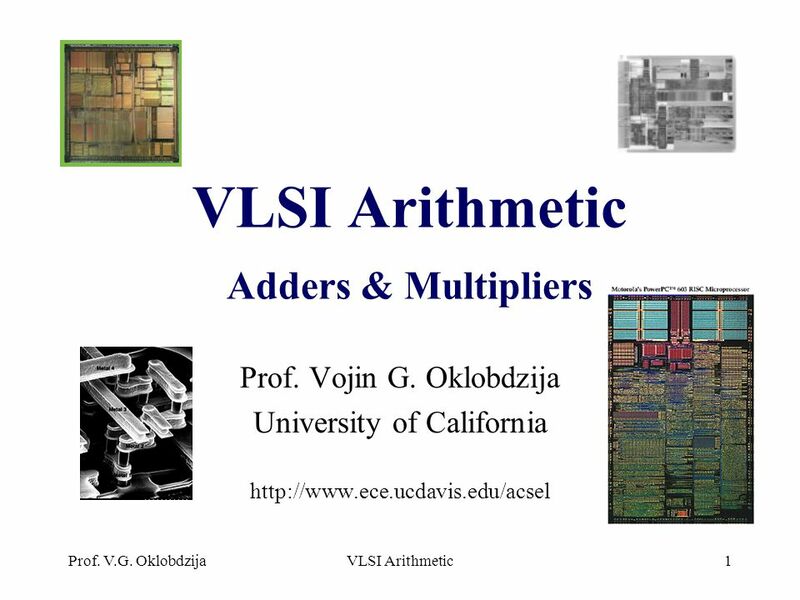 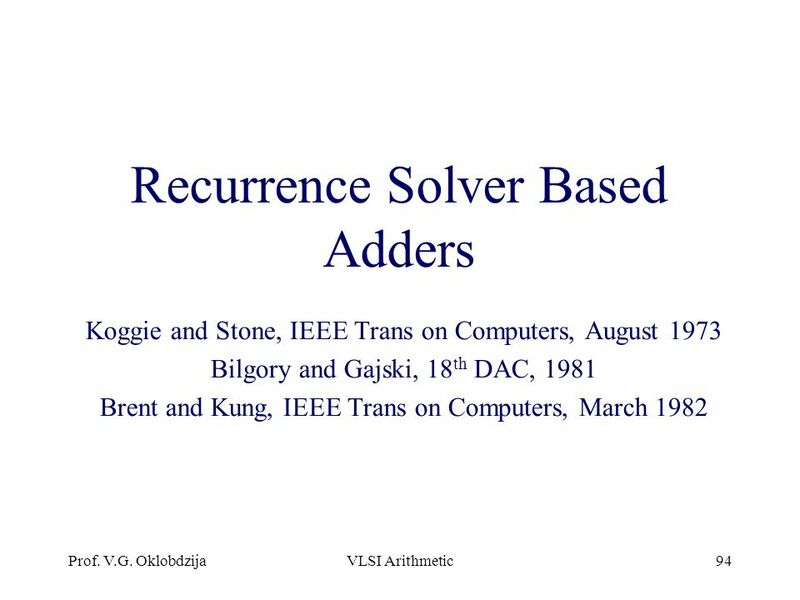 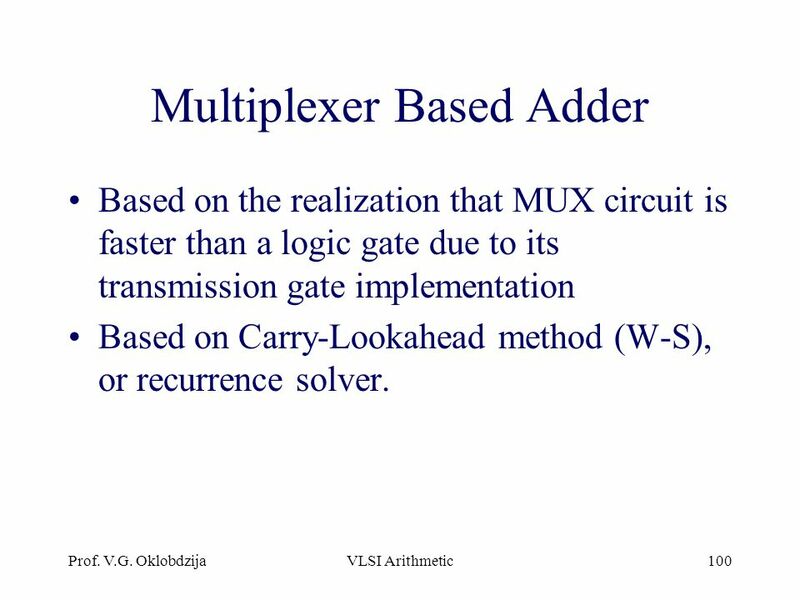 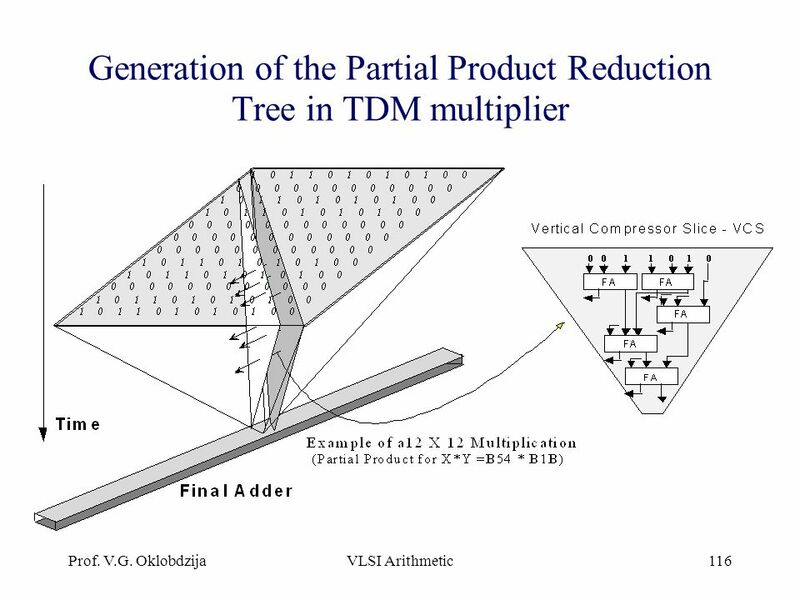 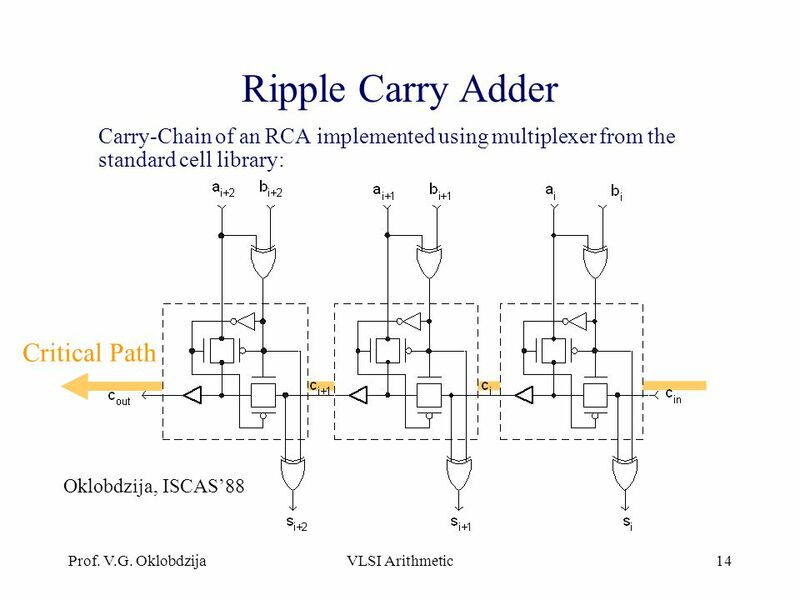 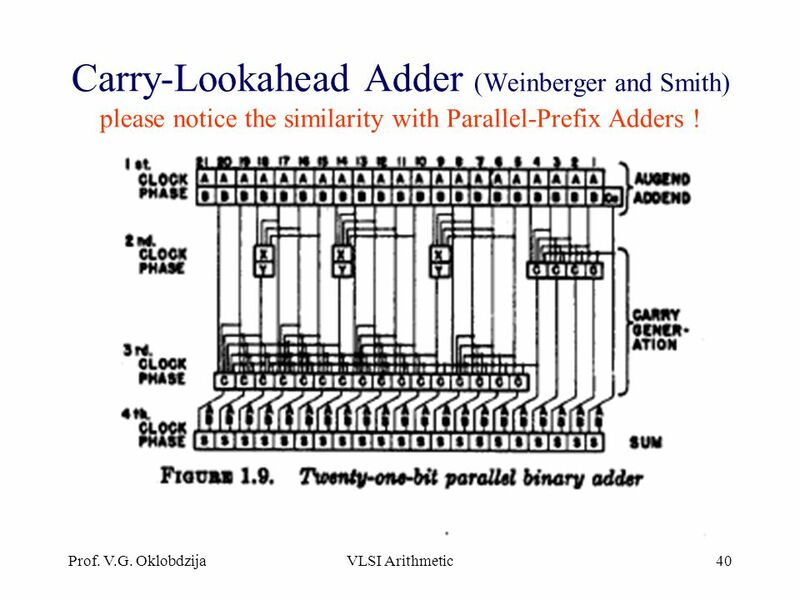 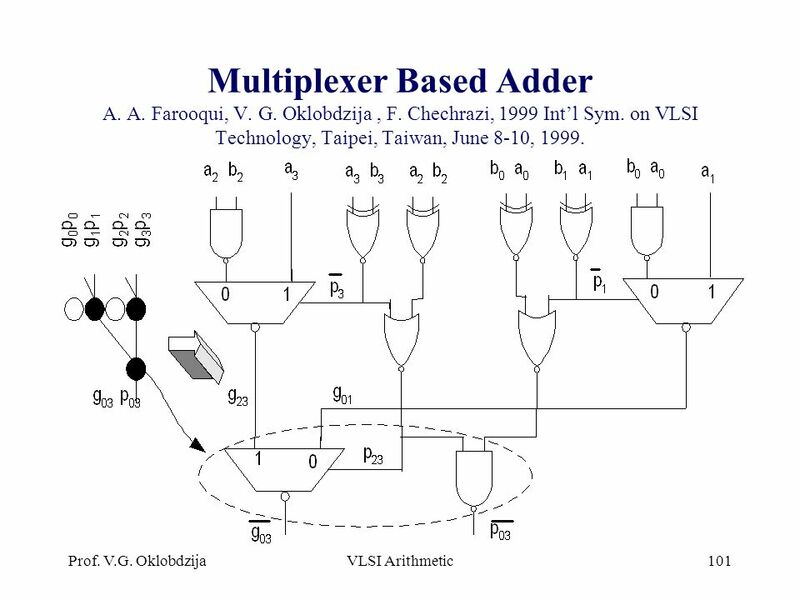 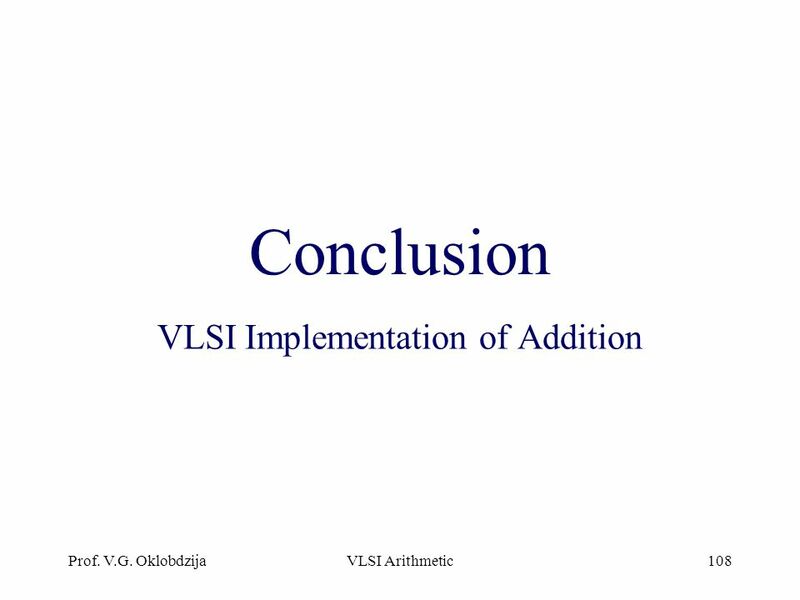 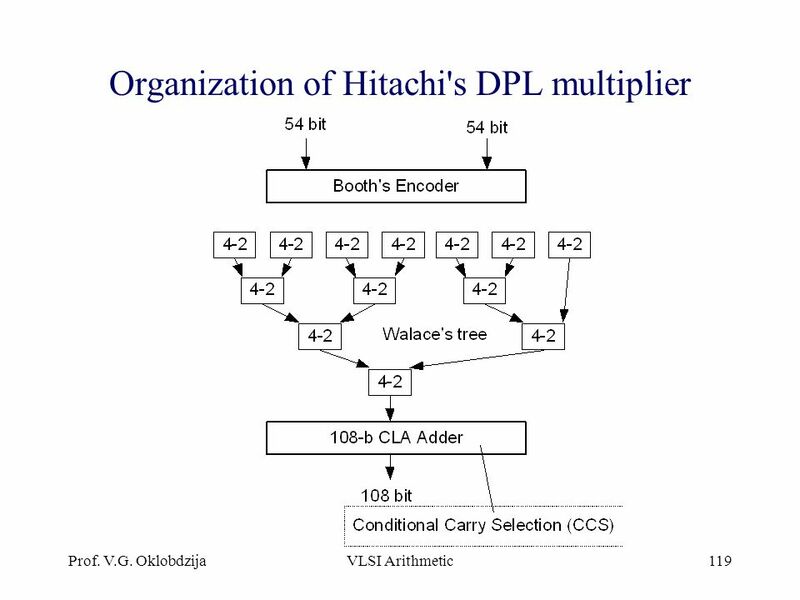 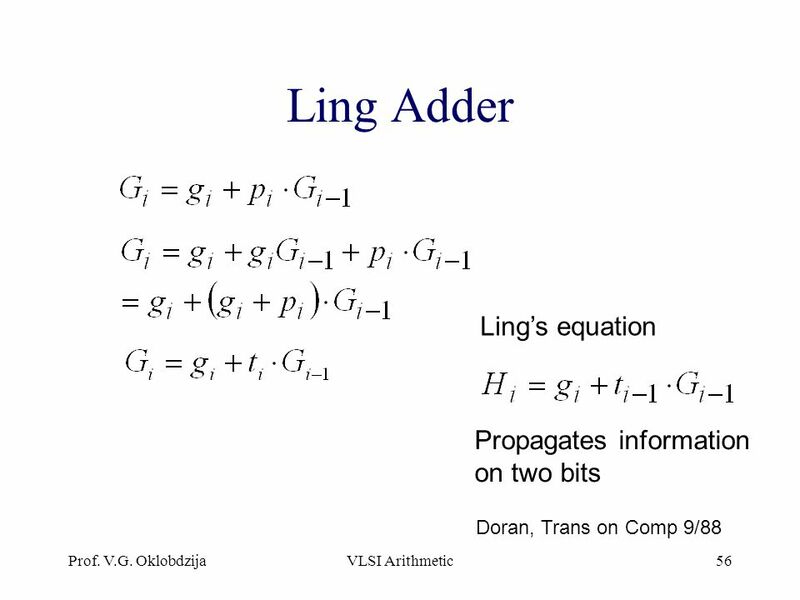 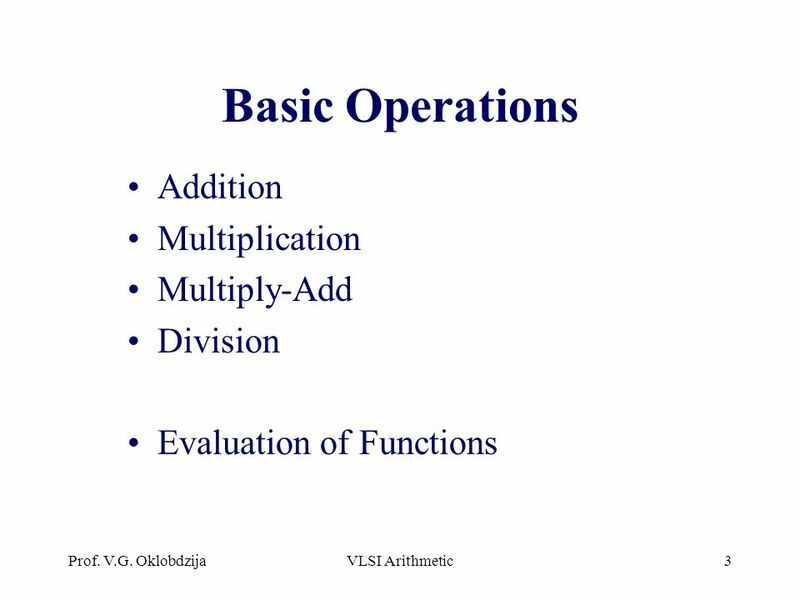 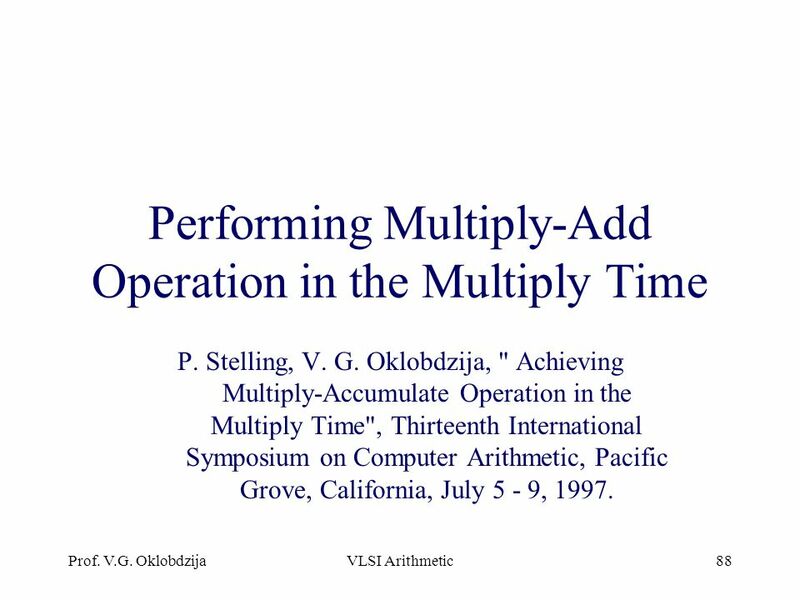 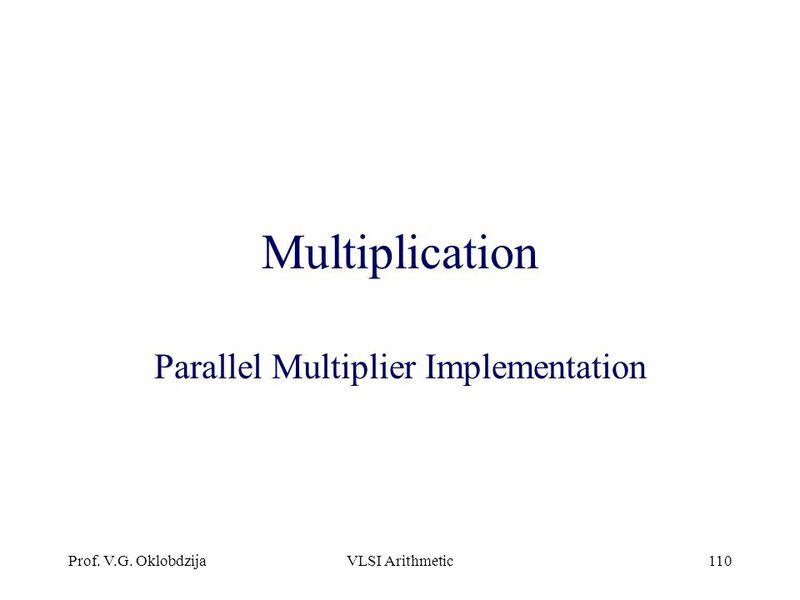 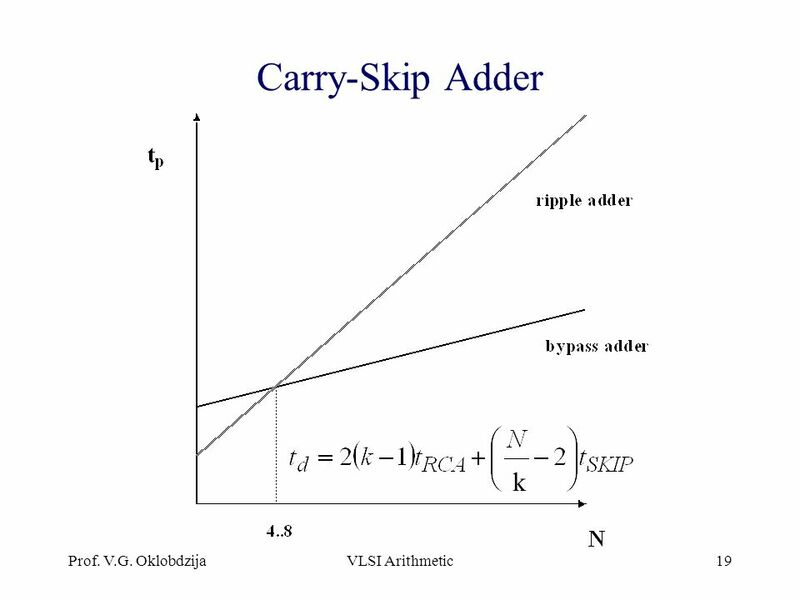 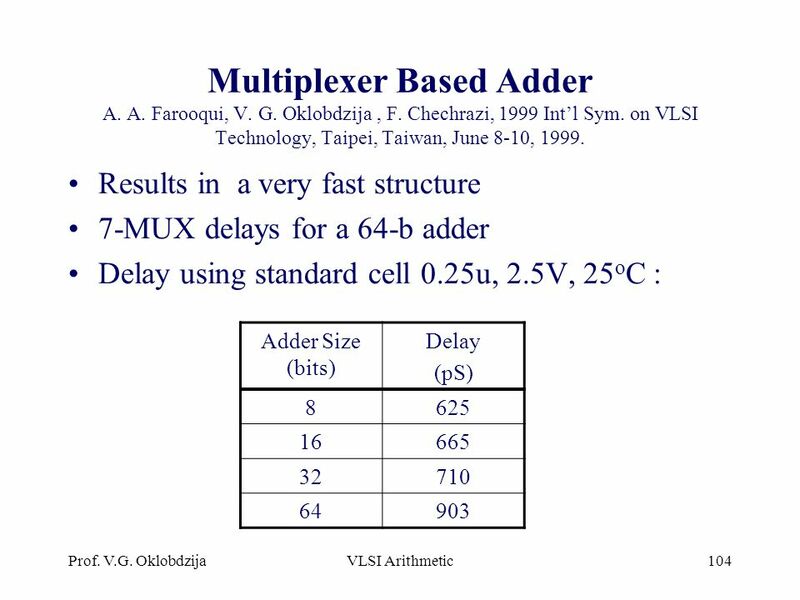 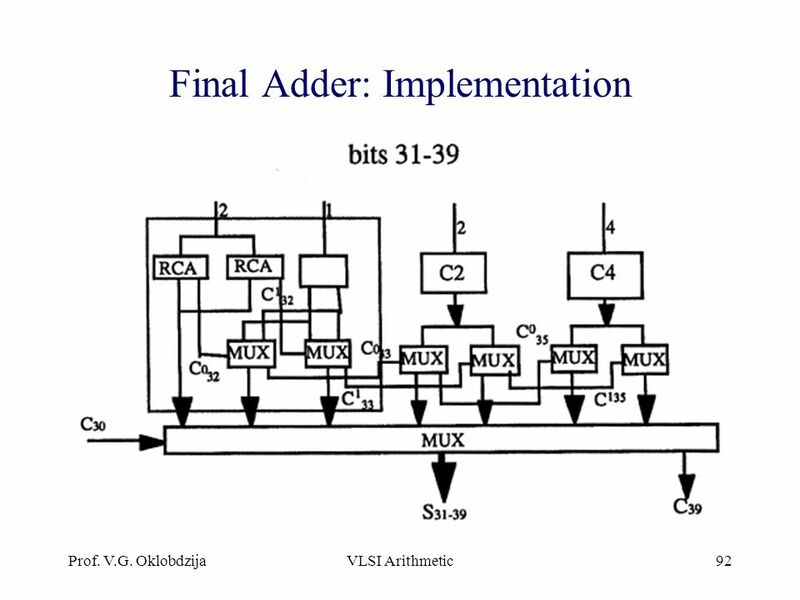 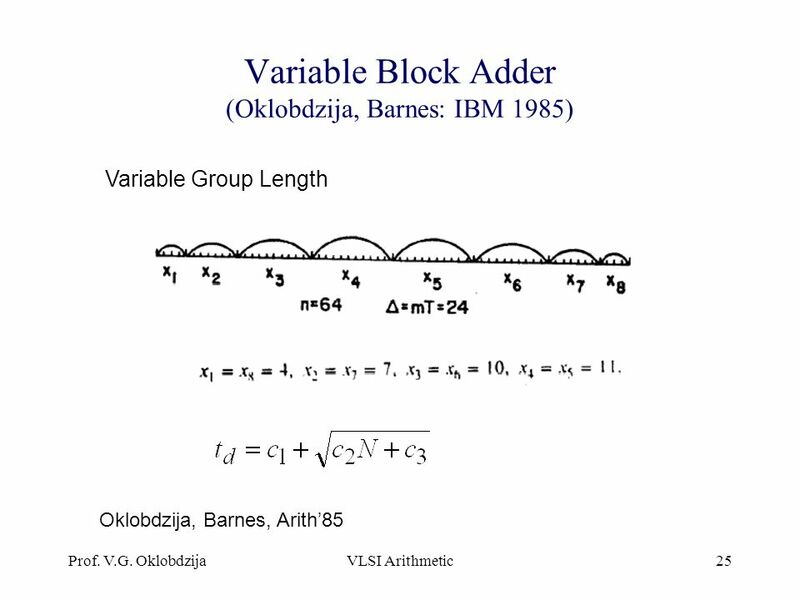 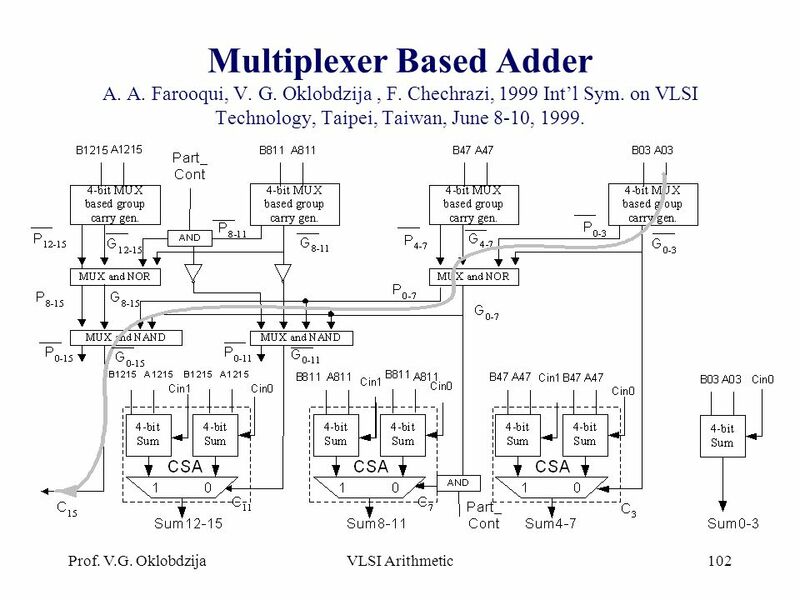 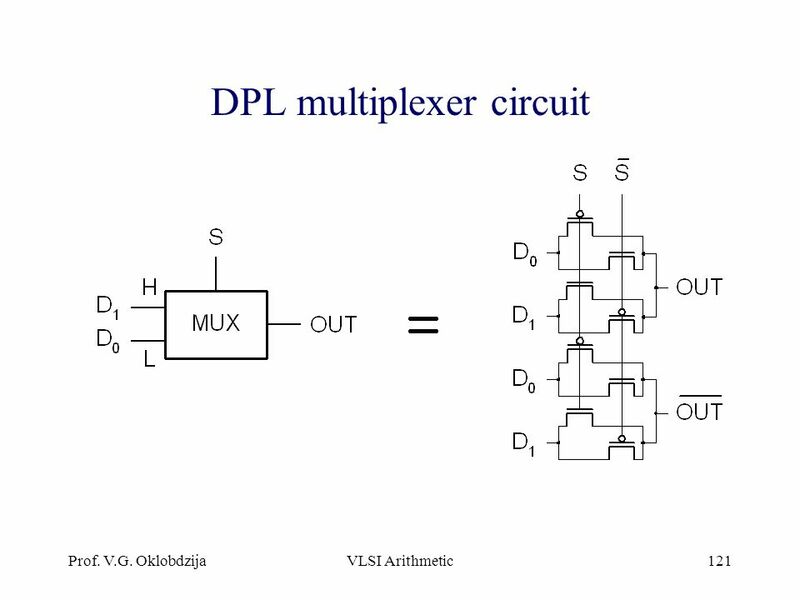 Download ppt "VLSI Arithmetic Adders & Multipliers"
1 ECE 4436ECE 5367 Computer Arithmetic I-II. 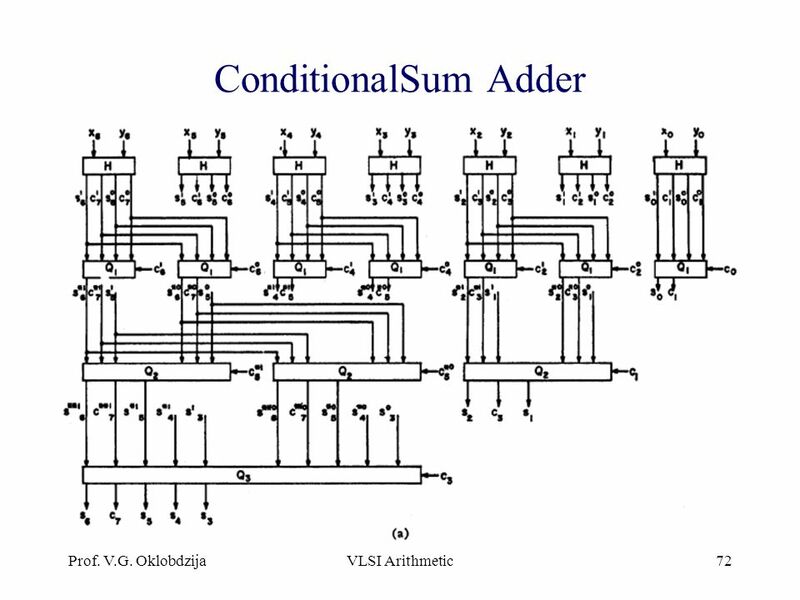 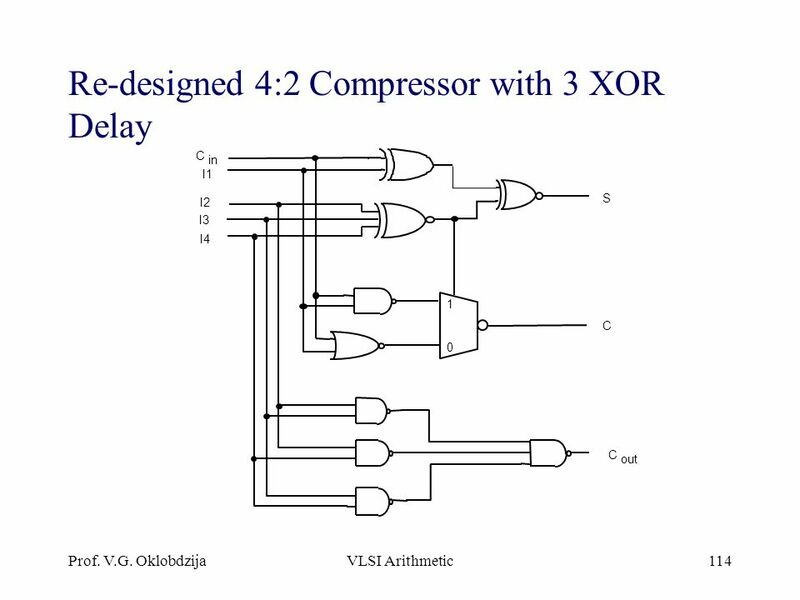 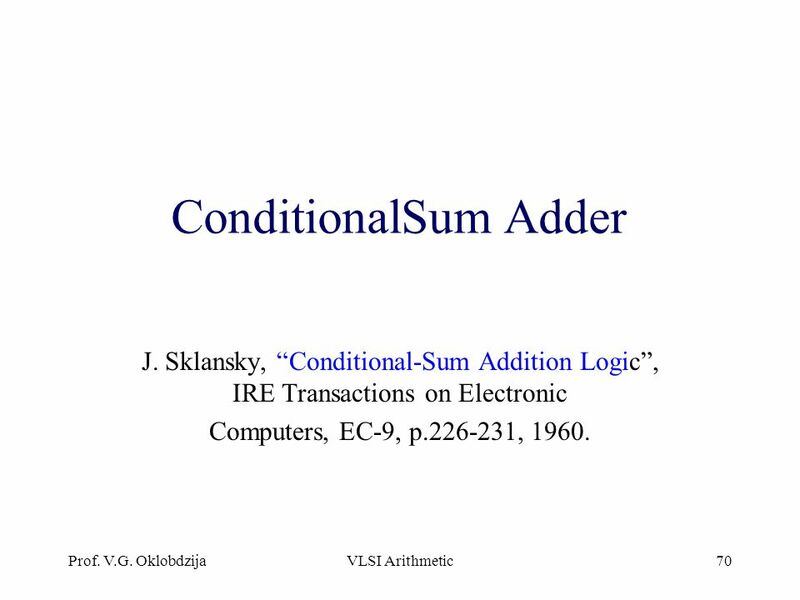 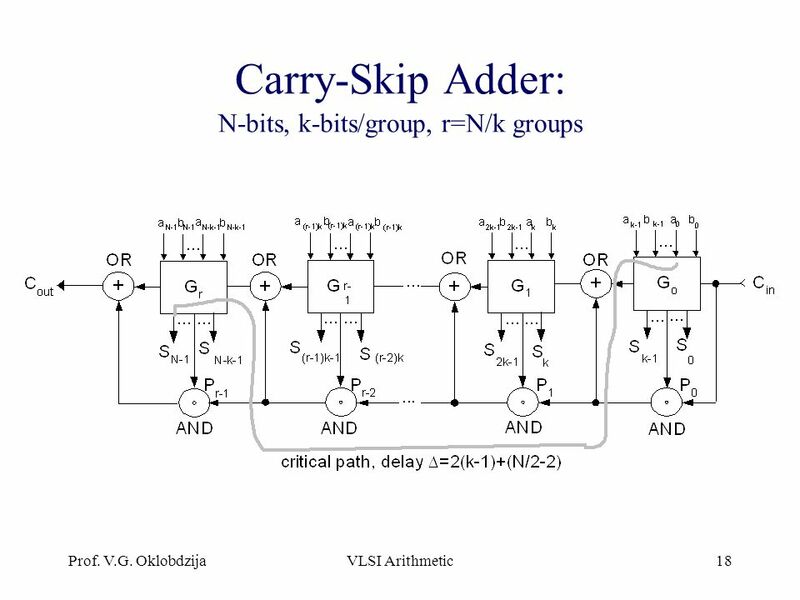 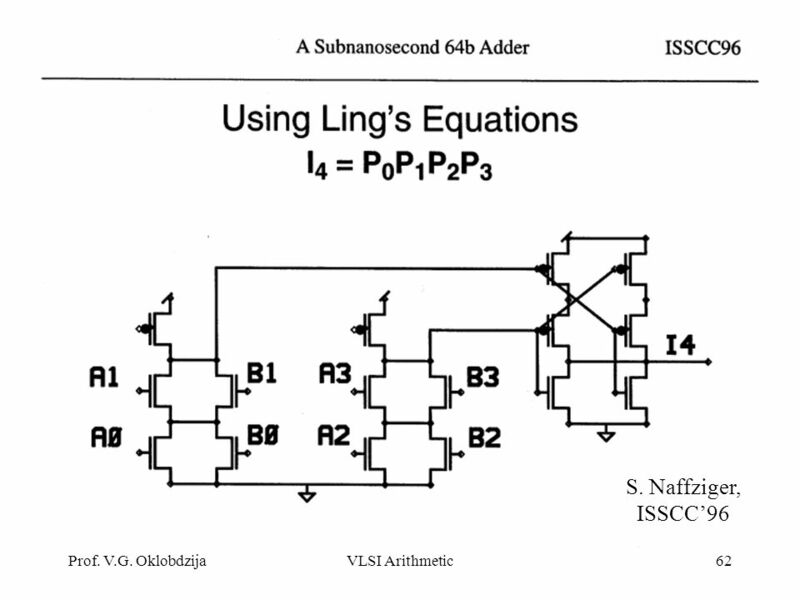 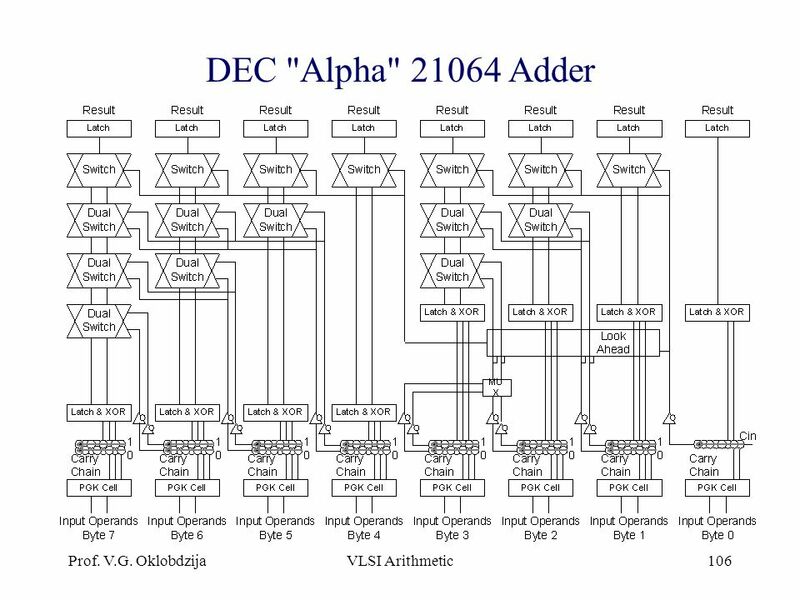 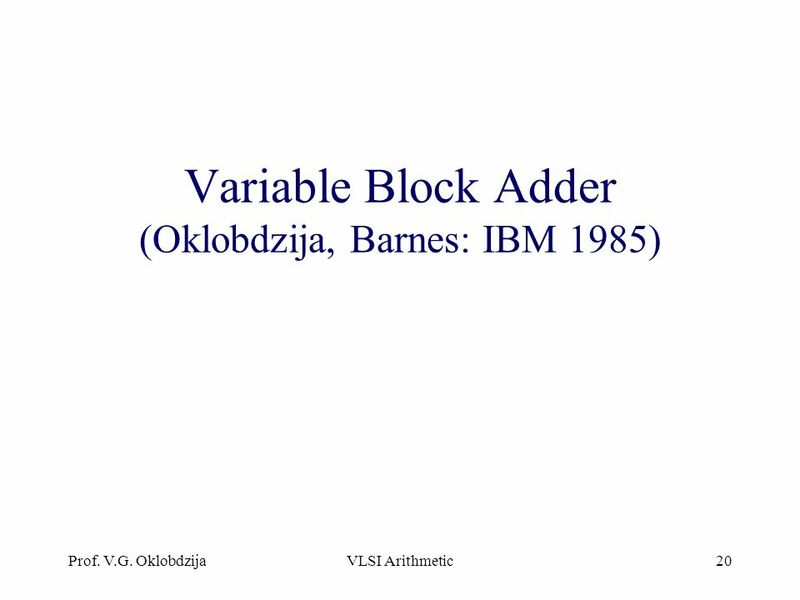 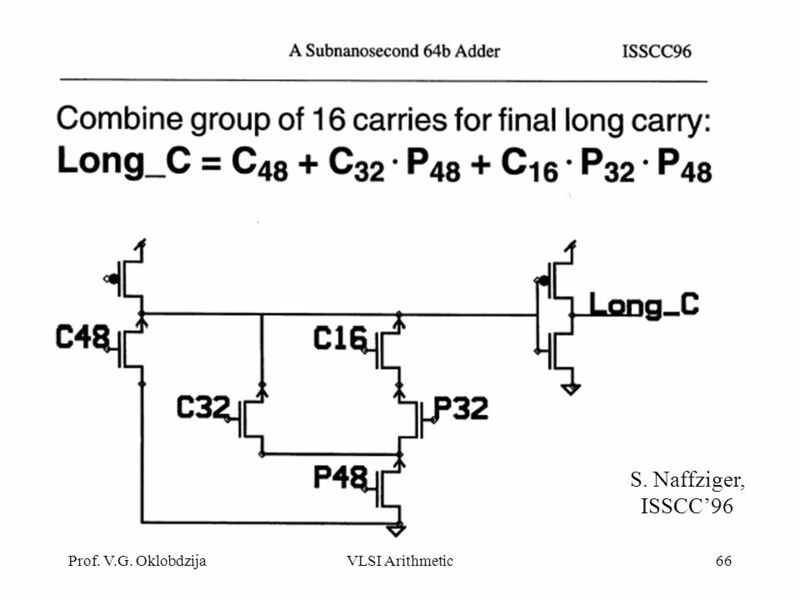 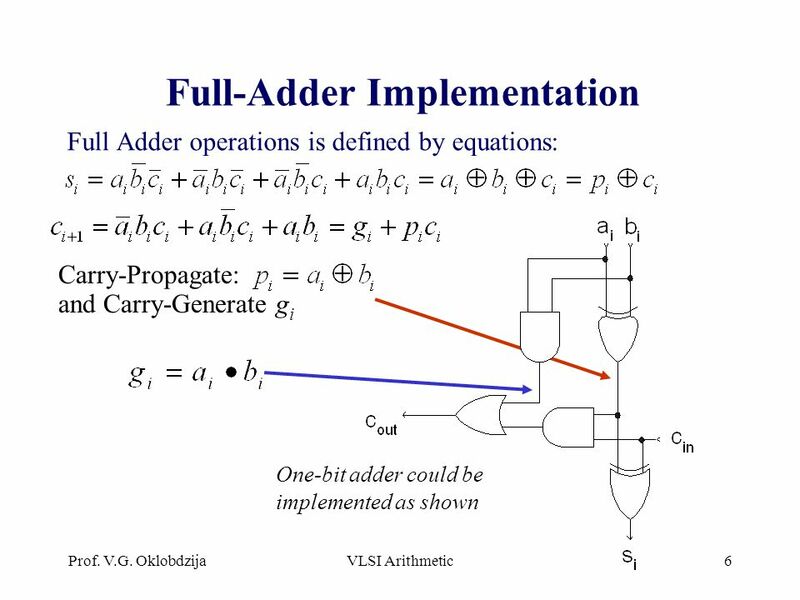 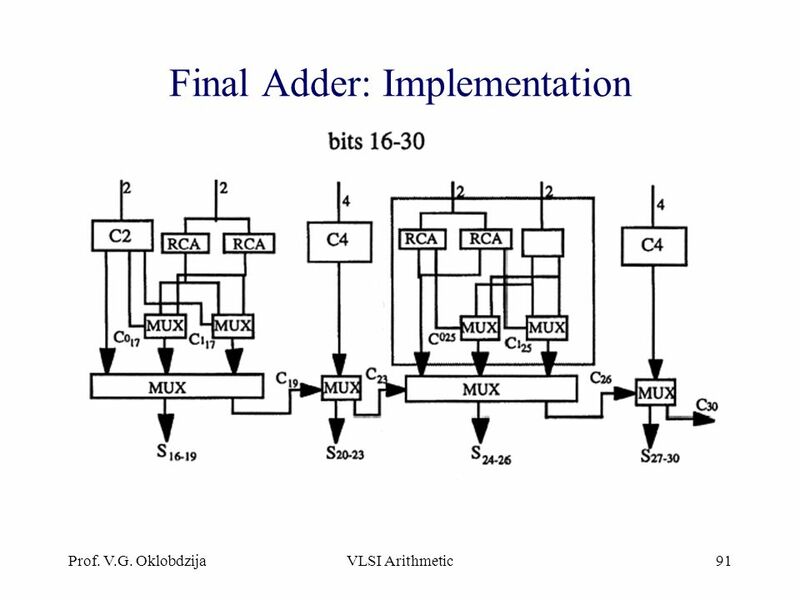 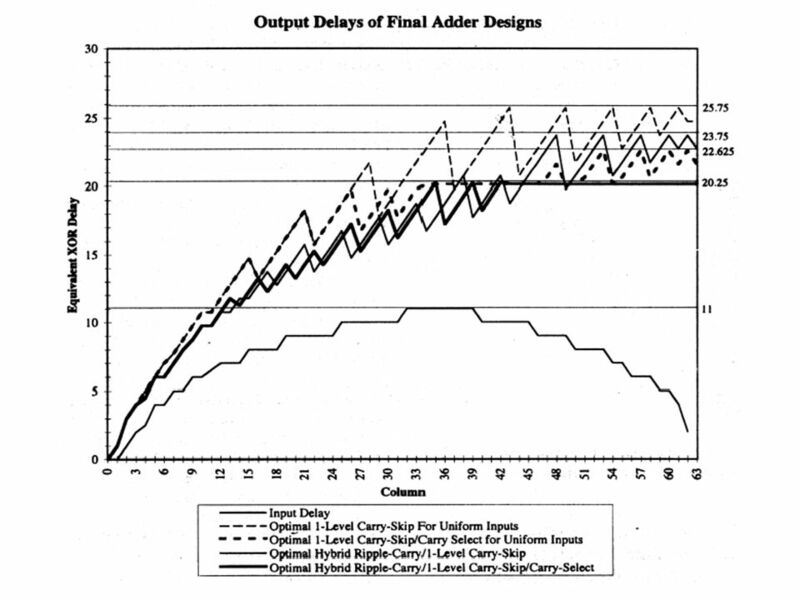 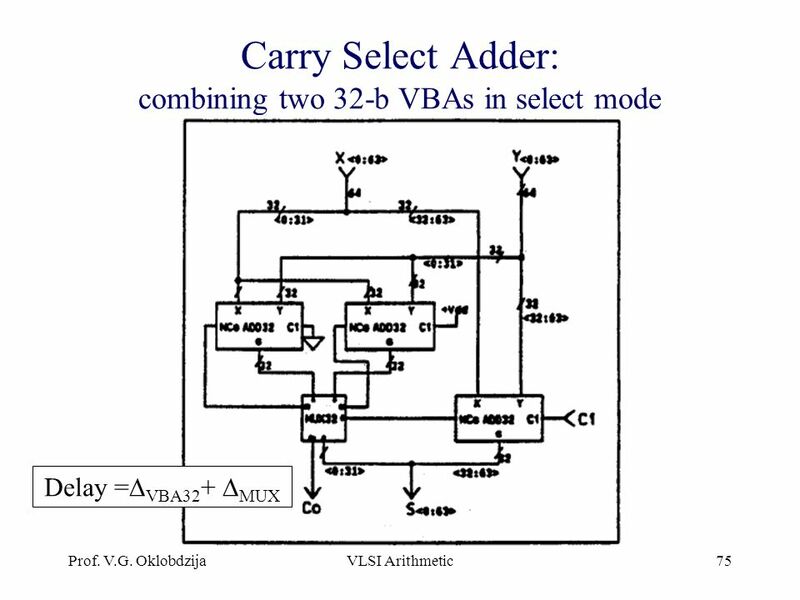 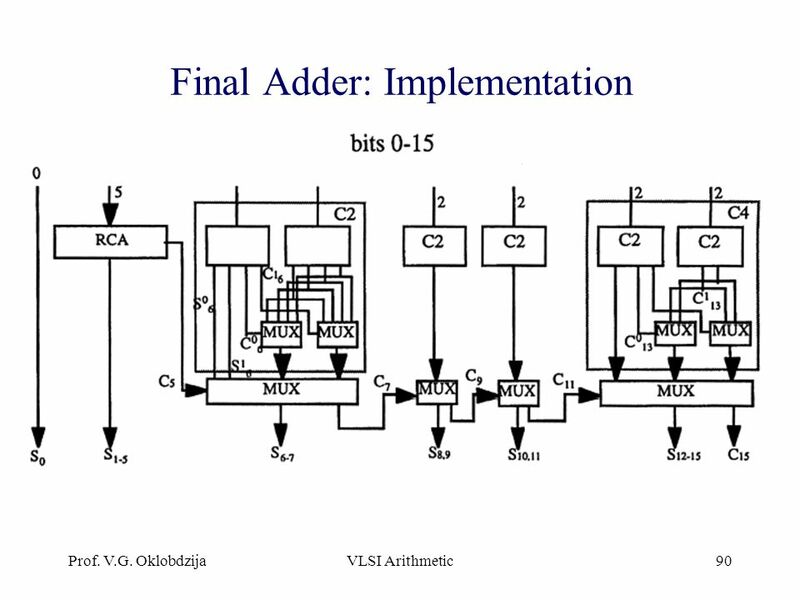 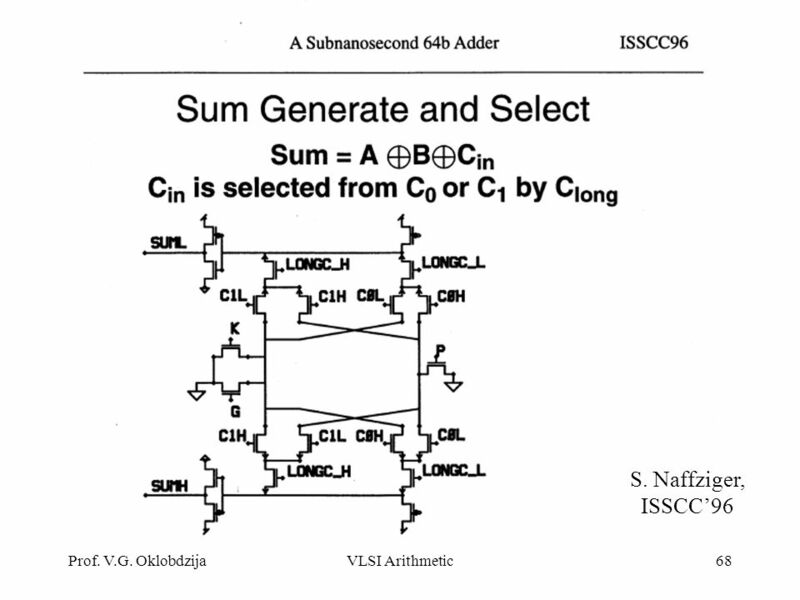 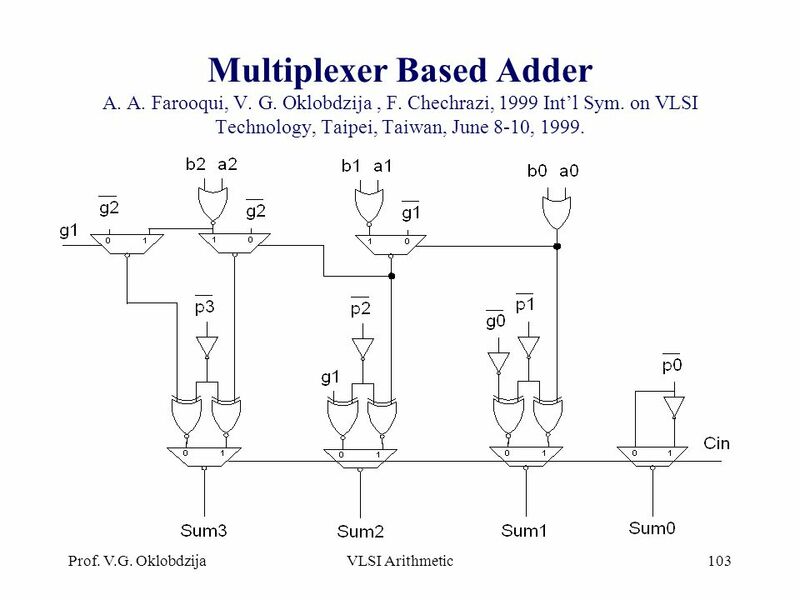 2 ECE 4436ECE 5367 Addition concepts 1 bit adder –2 inputs for the operands. 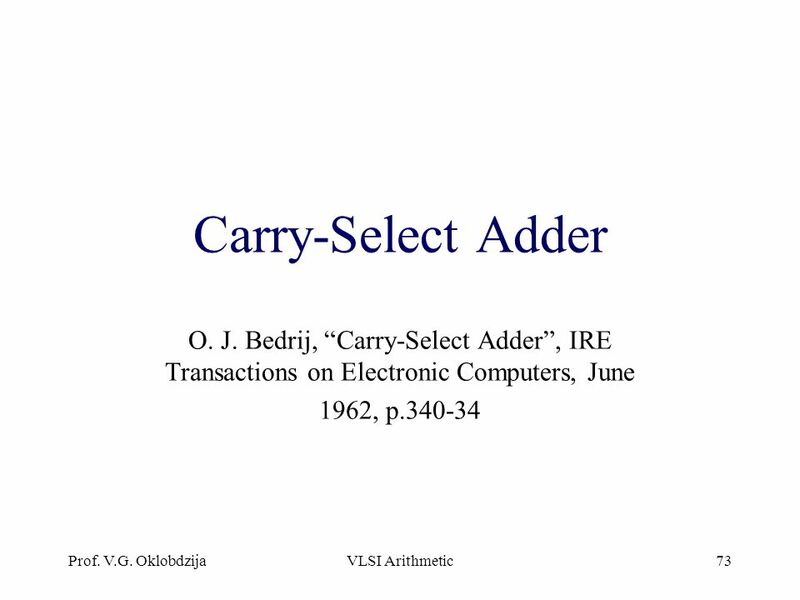 –Third input – carry in from. 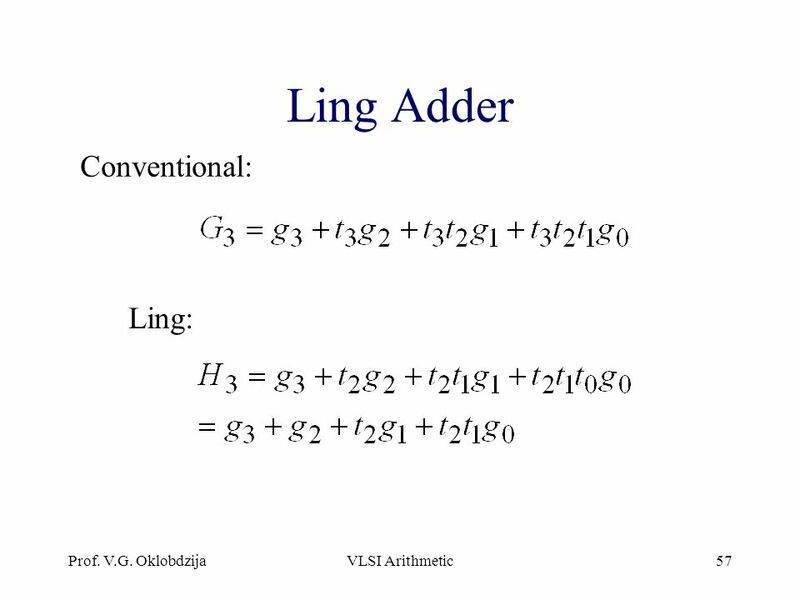 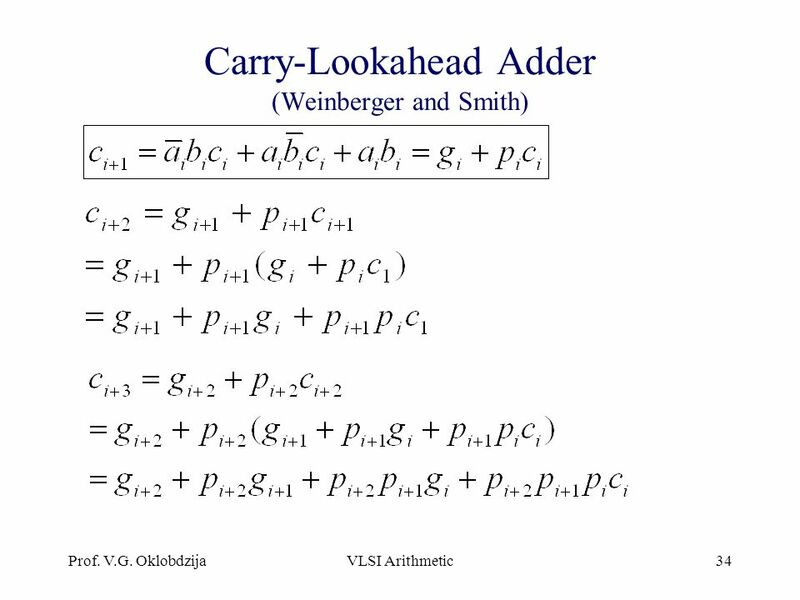 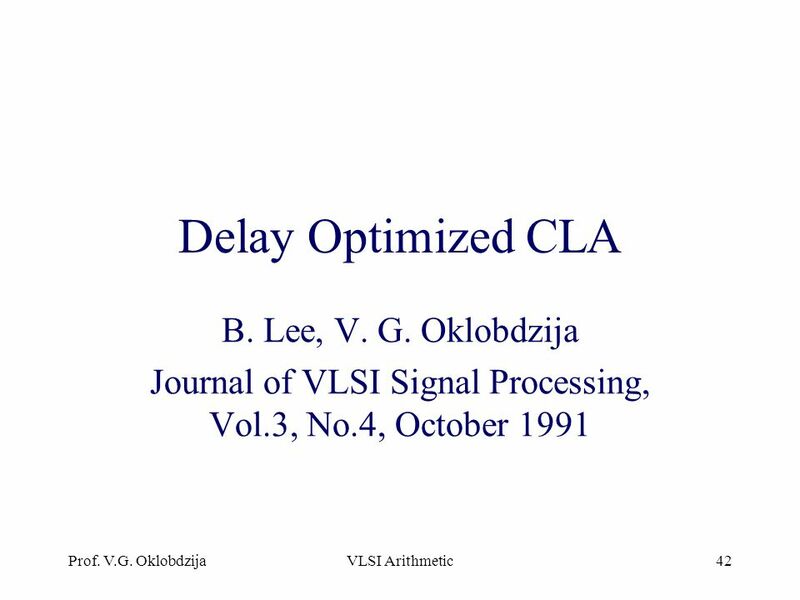 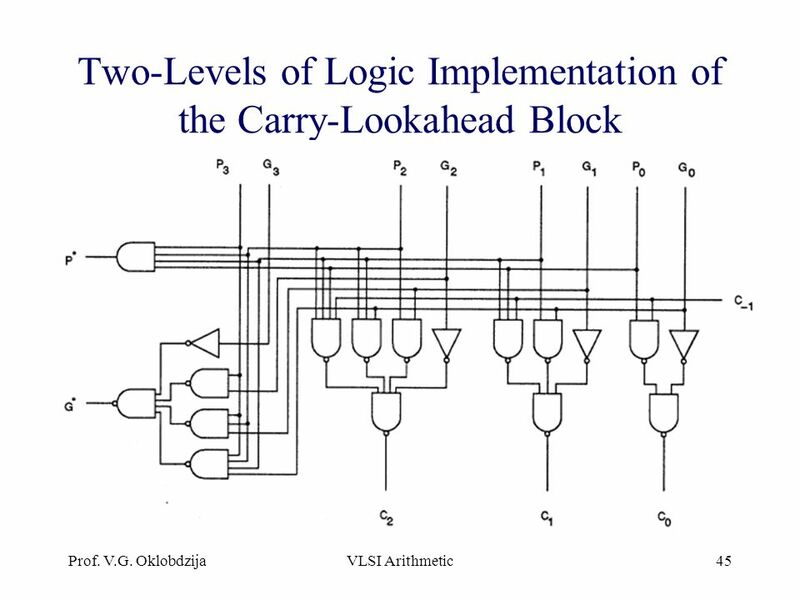 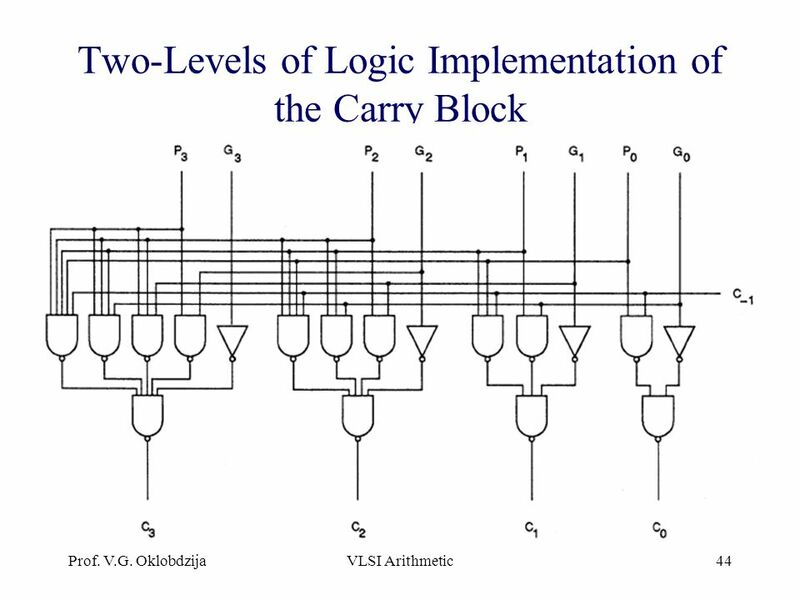 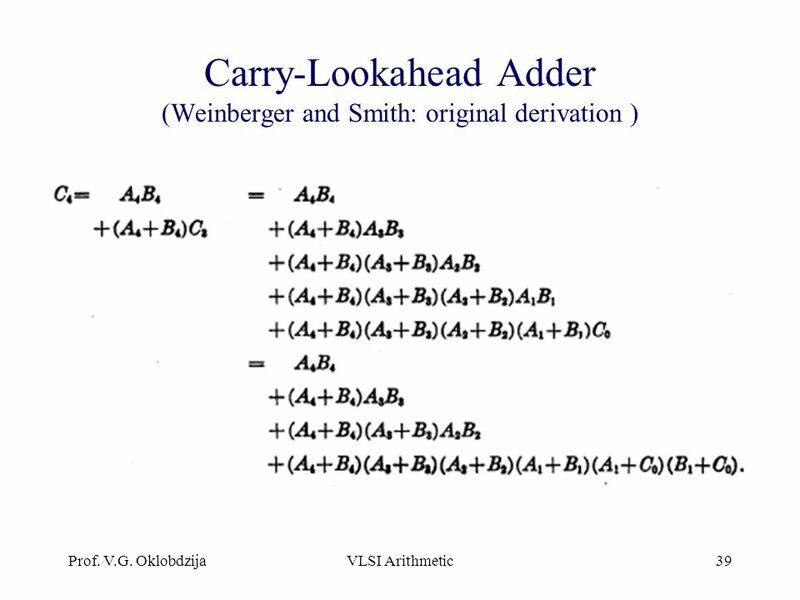 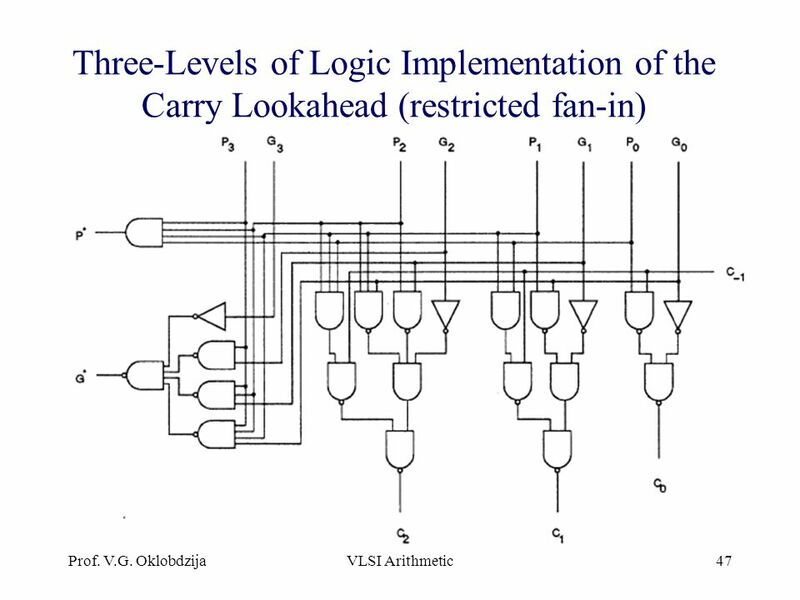 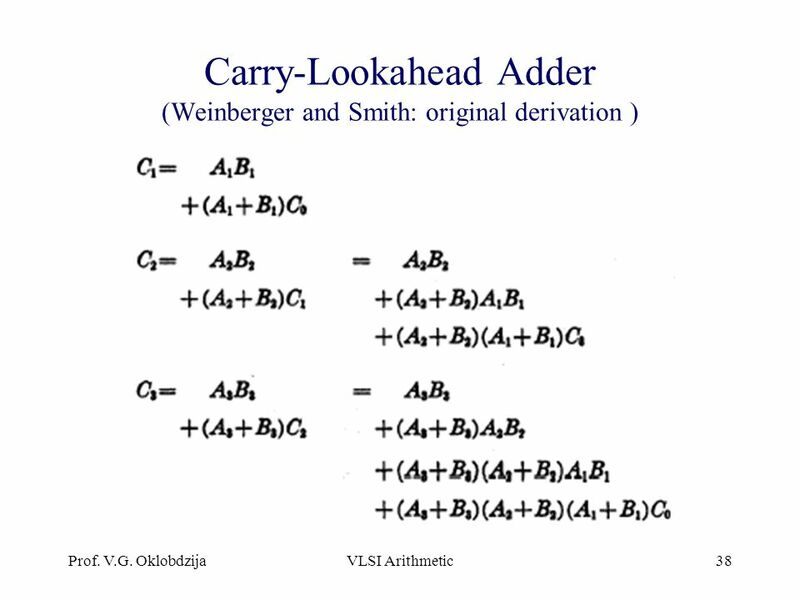 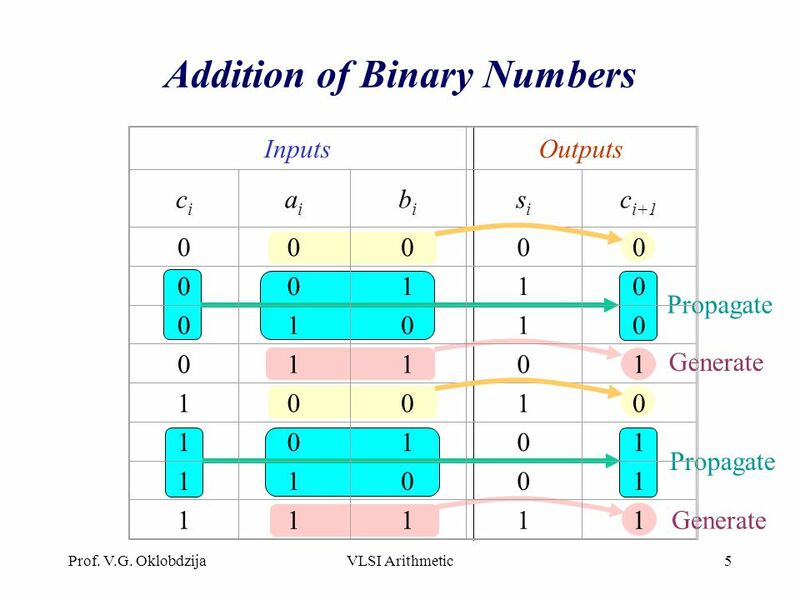 Introduction So far, we have studied the basic skills of designing combinational and sequential logic using schematic and Verilog-HDL Now, we are going. 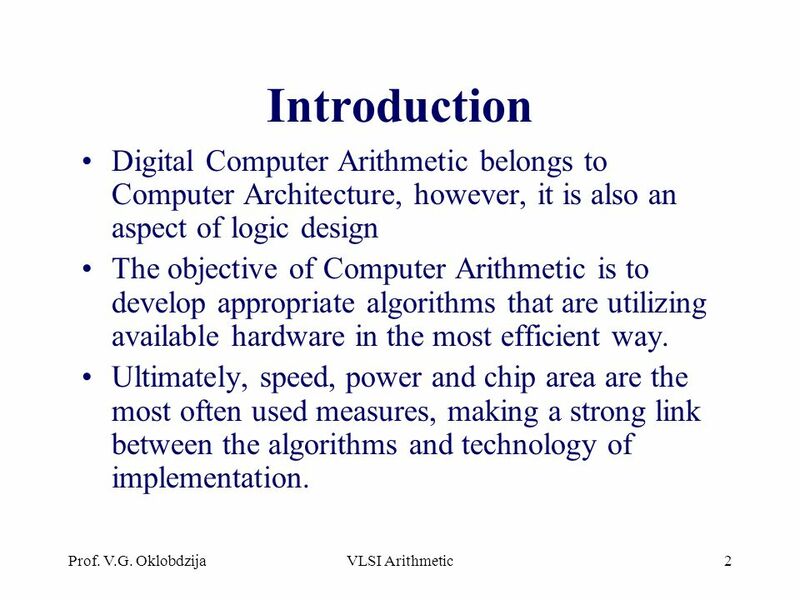 EE141 © Digital Integrated Circuits 2nd Arithmetic Circuits 1 Digital Integrated Circuits A Design Perspective Arithmetic Circuits Jan M. Rabaey Anantha. 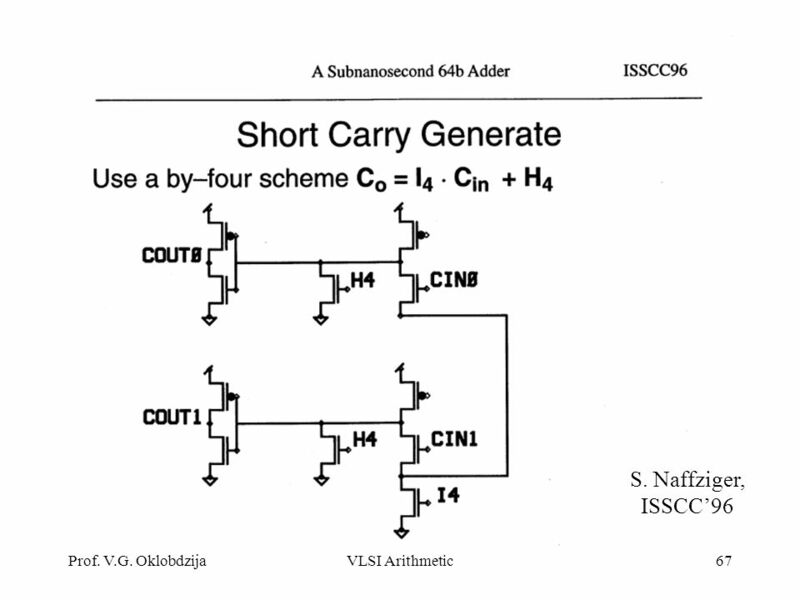 EE141 Adder Circuits S. Sundar Kumar Iyer. 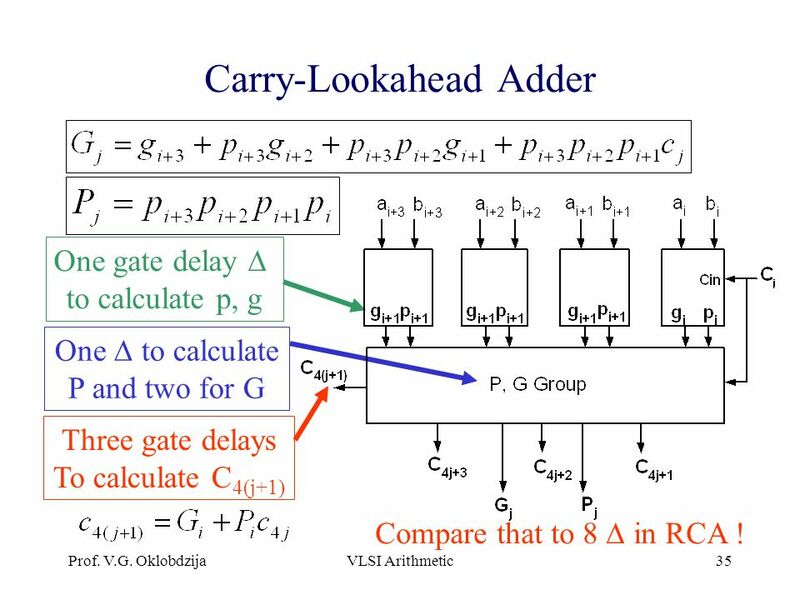 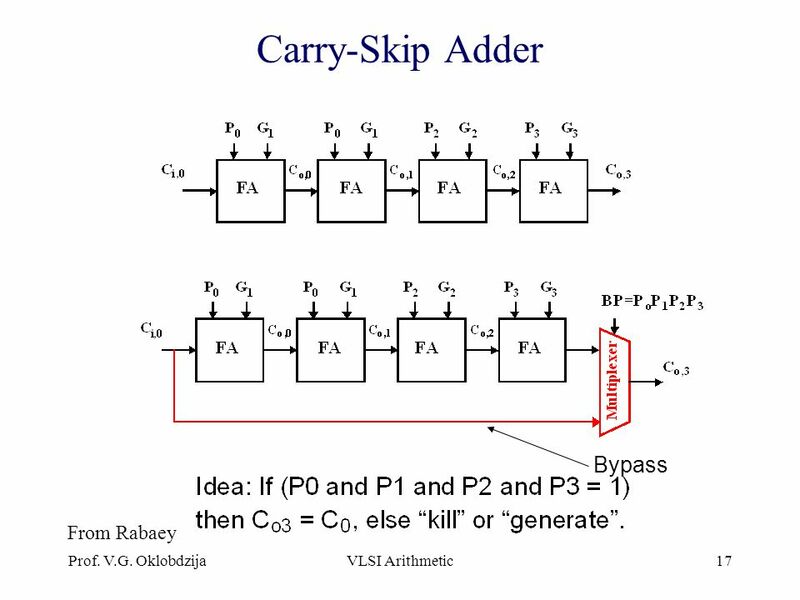 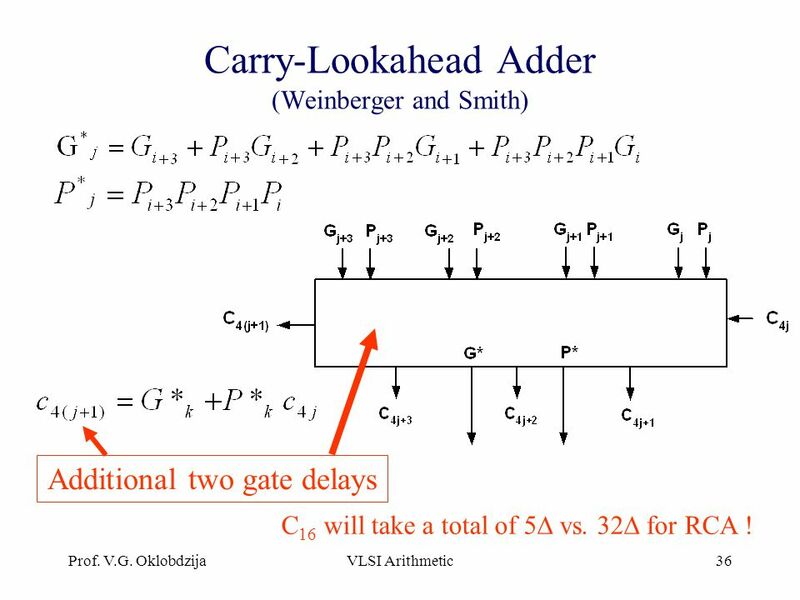 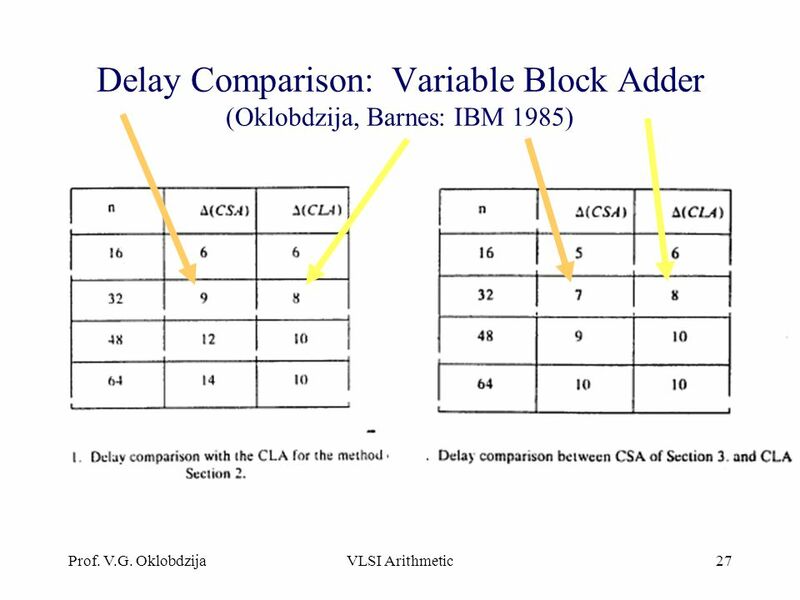 Using Carry-Save Adders For Radix- 4, Can Be Used to Generate 3a – No Booth’s Slight Delay Penalty from CSA – 3 Gates. 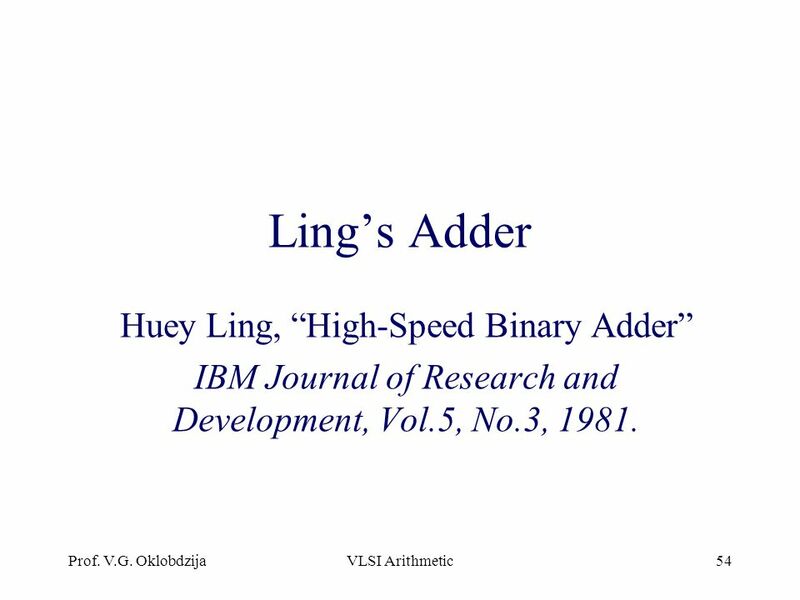 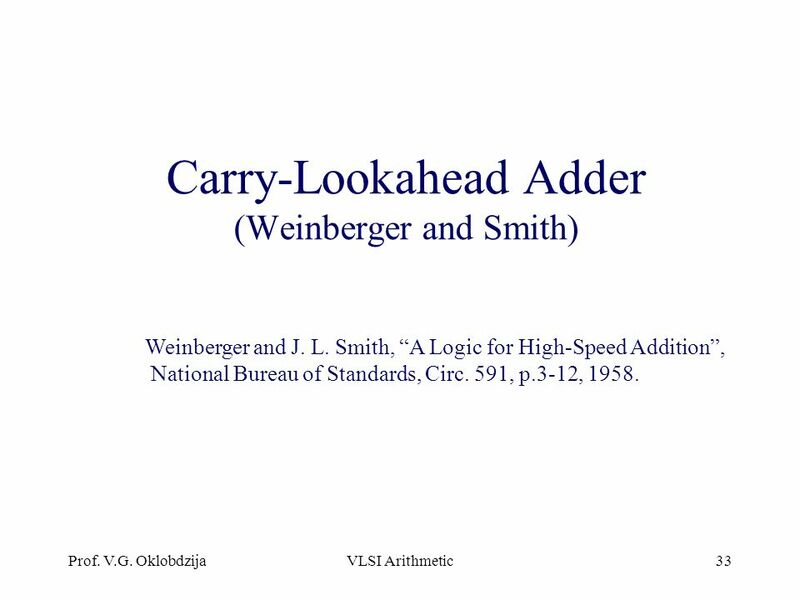 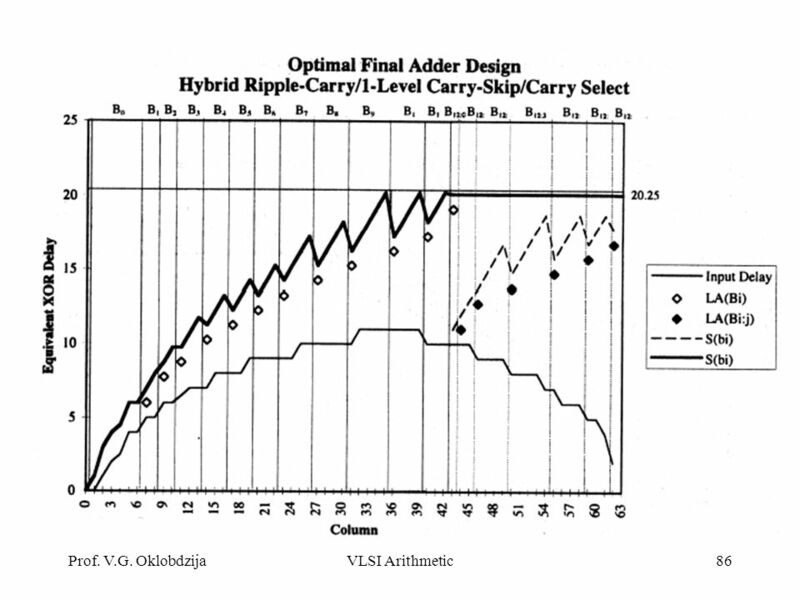 Fast Adders See: P&H Chapter 3.1-3, C Goals: serial to parallel conversion time vs. space tradeoffs design choices. 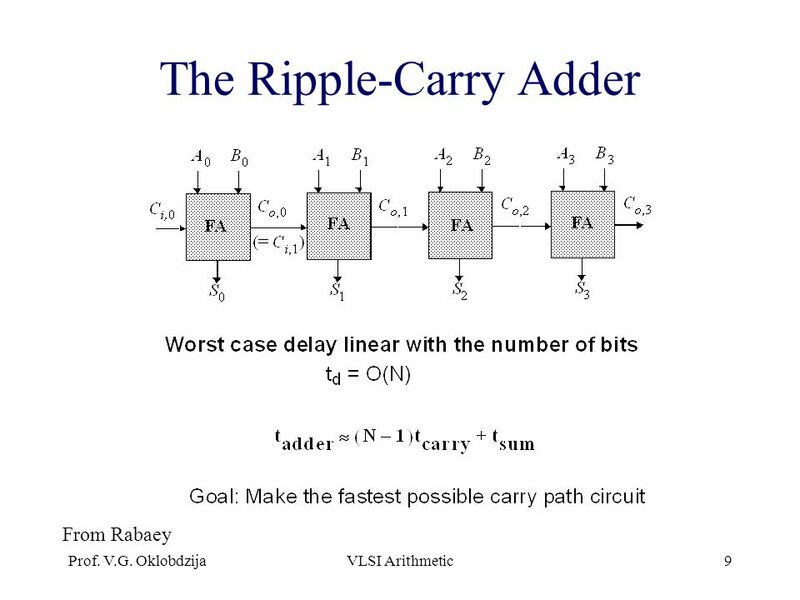 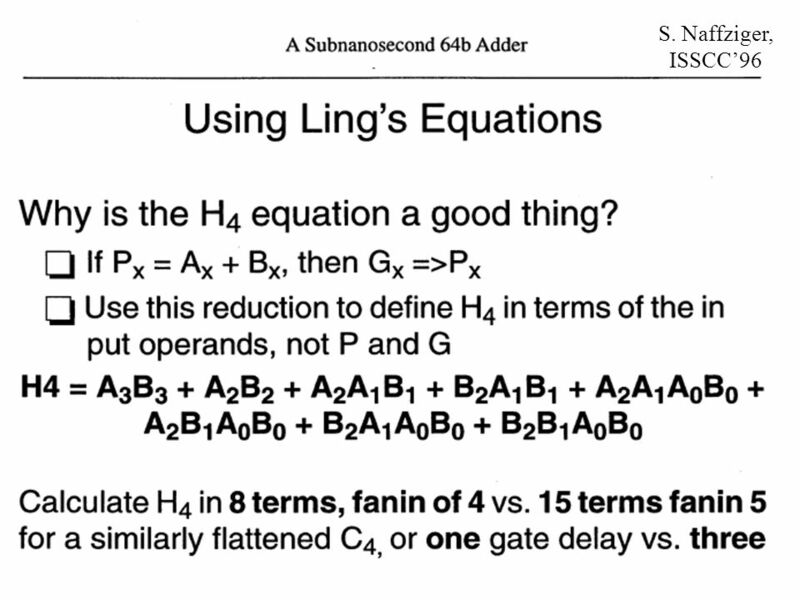 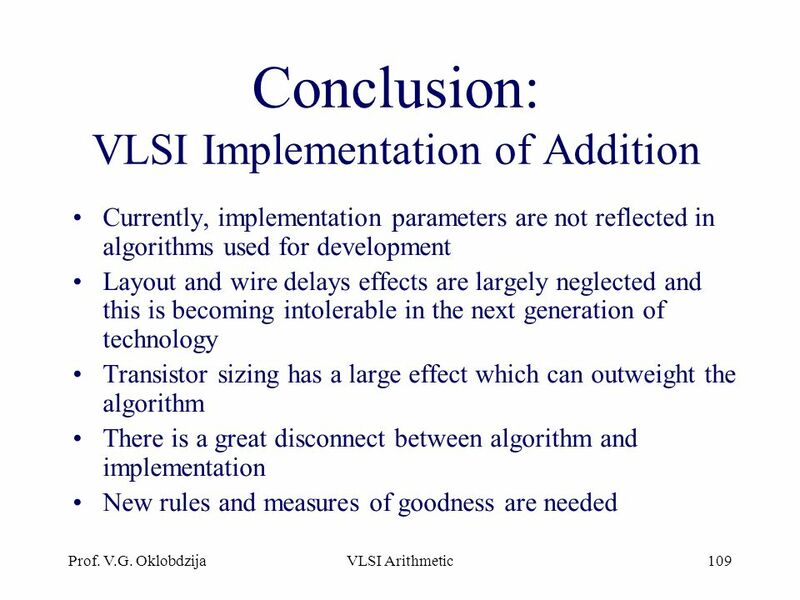 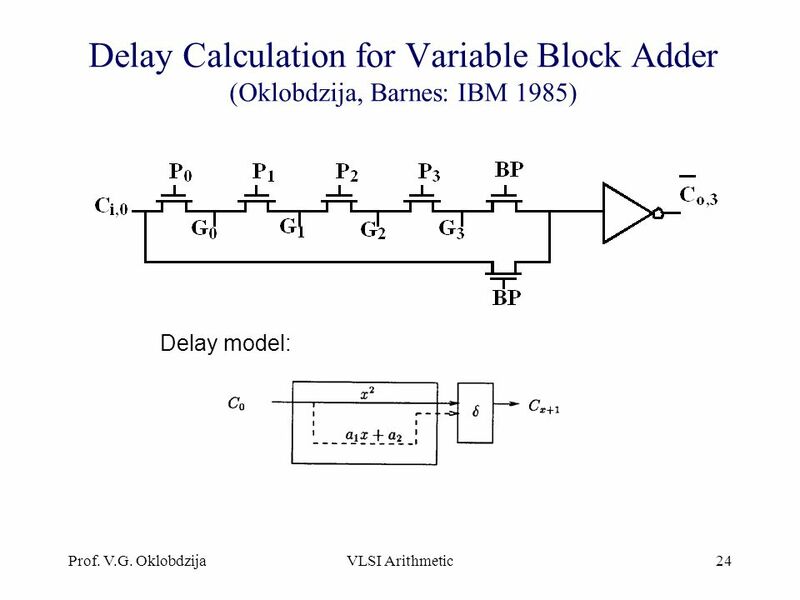 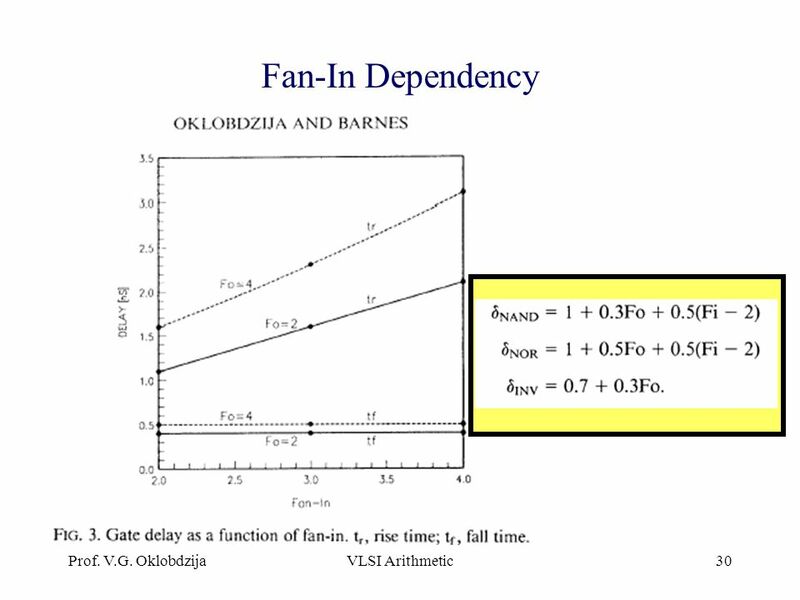 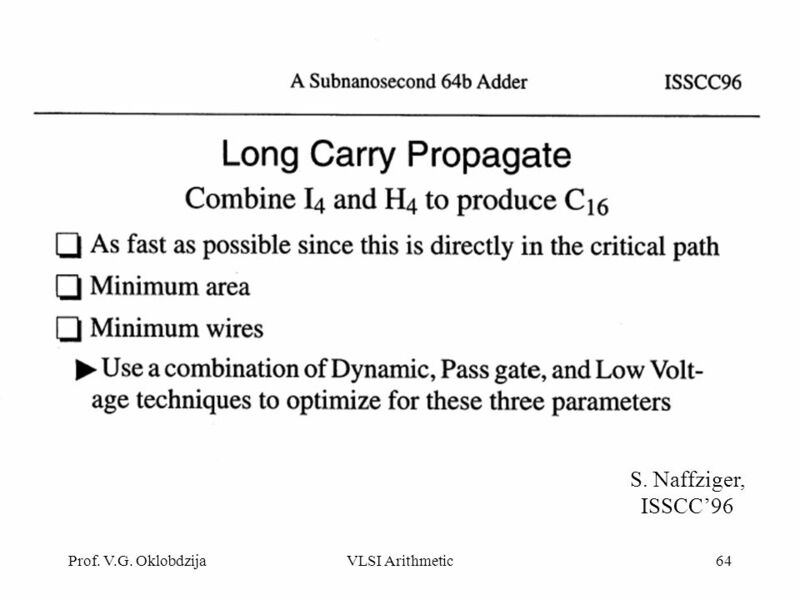 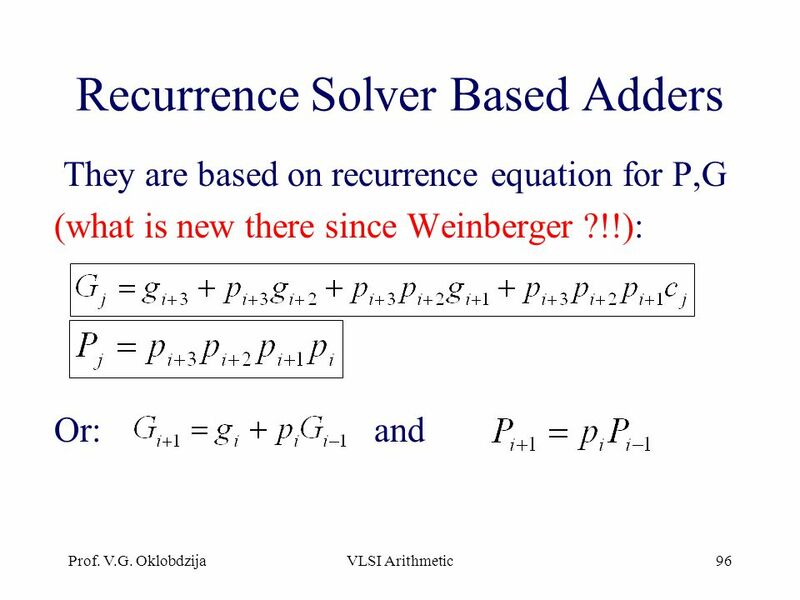 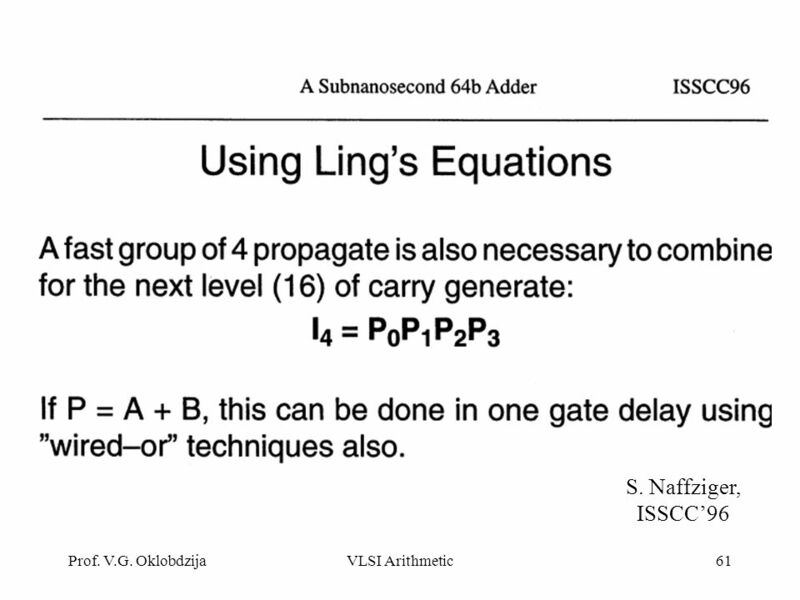 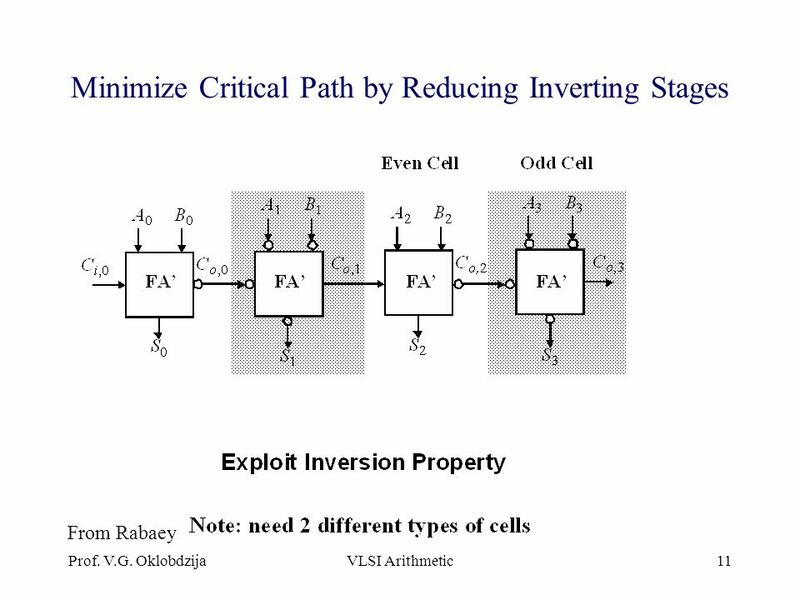 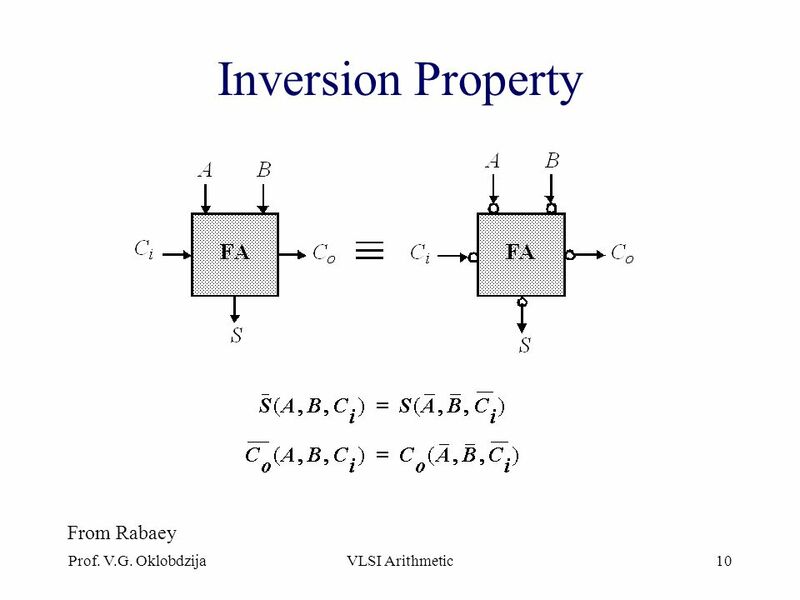 Prof. John Nestor ECE Department Lafayette College Easton, Pennsylvania ECE VLSI Circuit Design Lecture 24 - Subsystem. 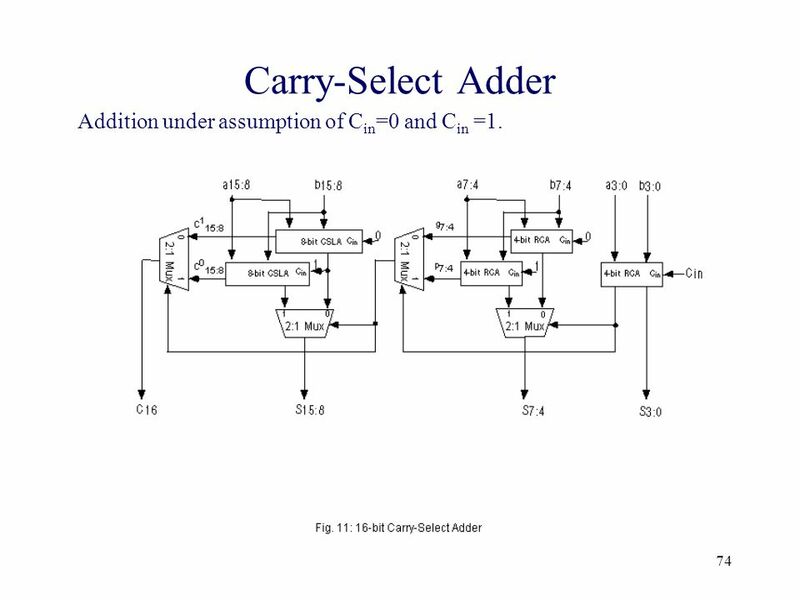 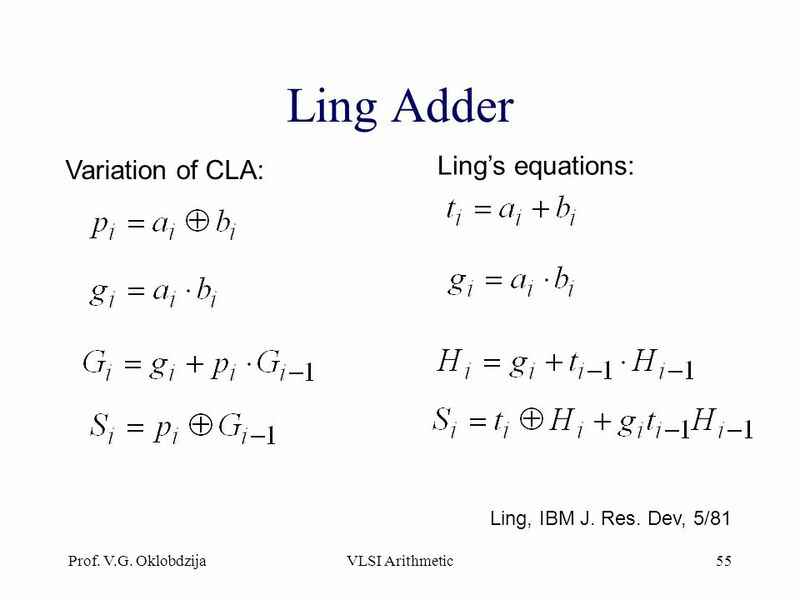 1 CS 140 Lecture 14 Standard Combinational Modules Professor CK Cheng CSE Dept. 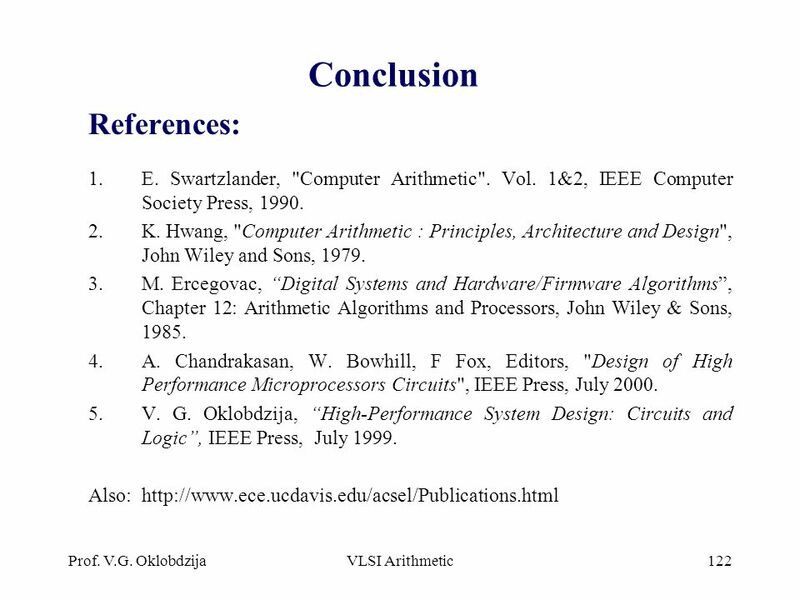 UC San Diego Some slides from Harris and Harris. 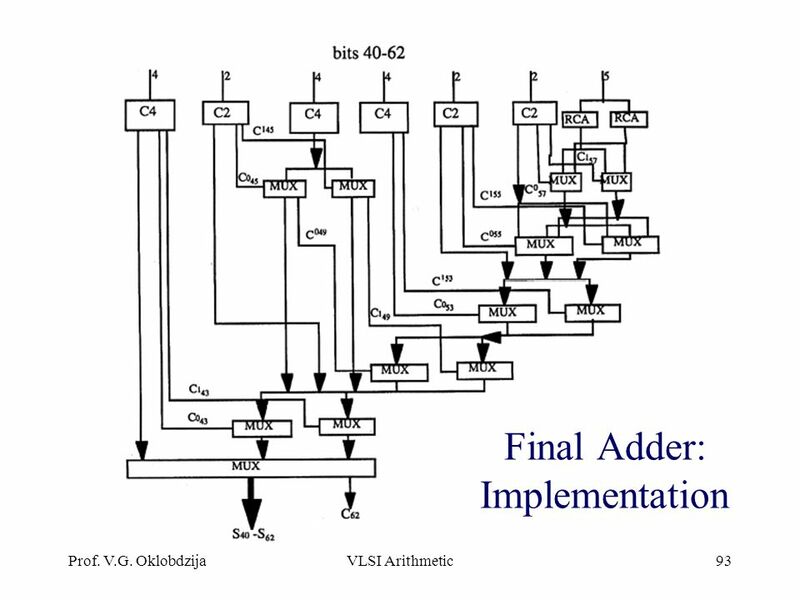 1 A Timing-Driven Synthesis Approach of a Fast Four-Stage Hybrid Adder in Sum-of-Products Sabyasachi Das University of Colorado, Boulder Sunil P. Khatri. 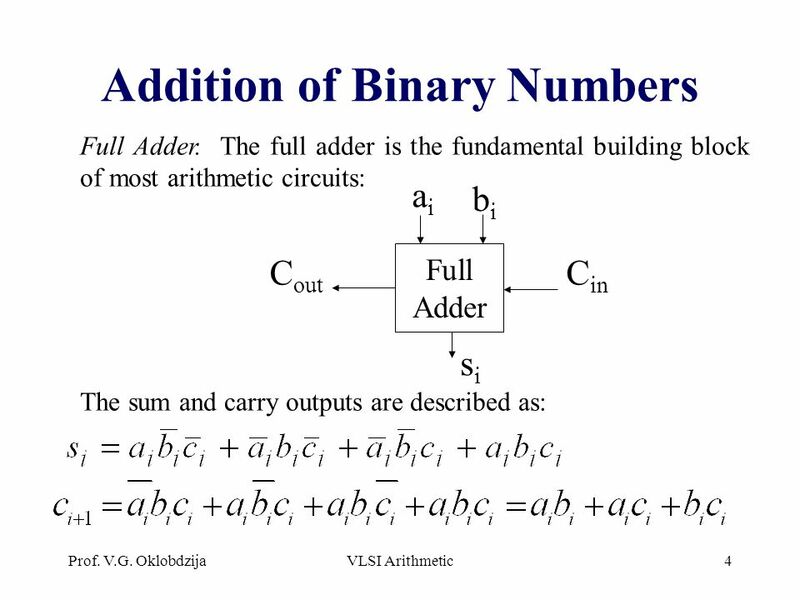 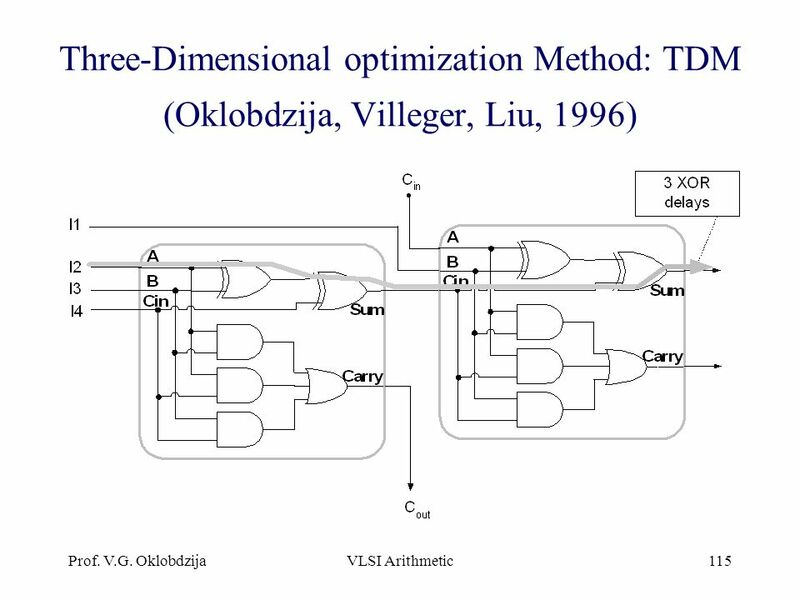 EECS Components and Design Techniques for Digital Systems Lec 18 – Arithmetic II (Multiplication) David Culler Electrical Engineering and Computer. 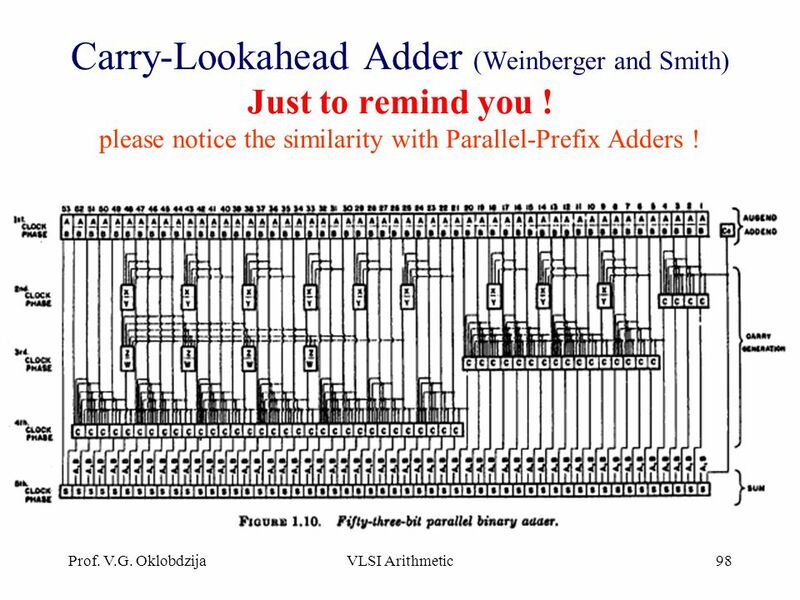 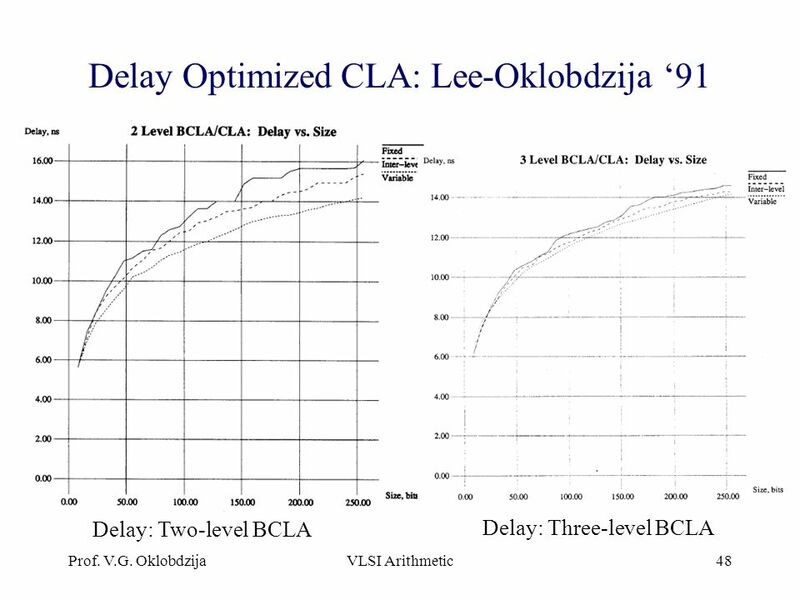 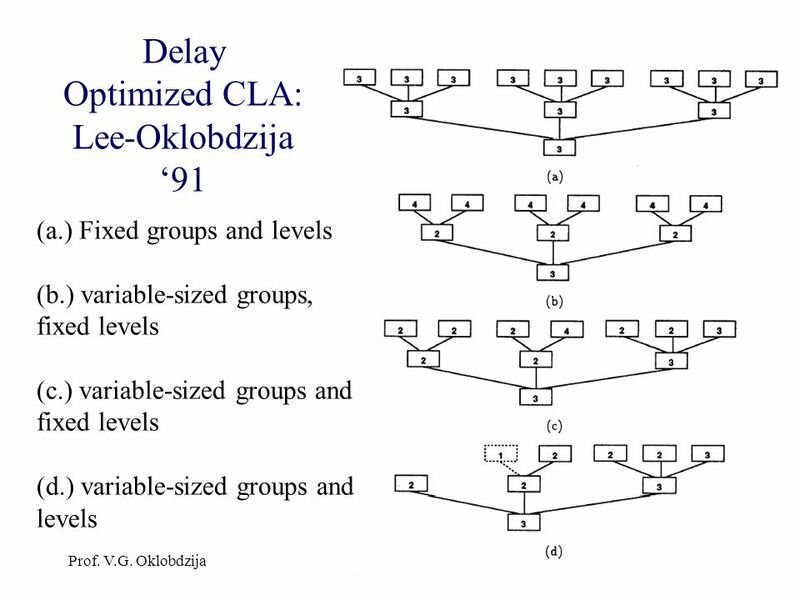 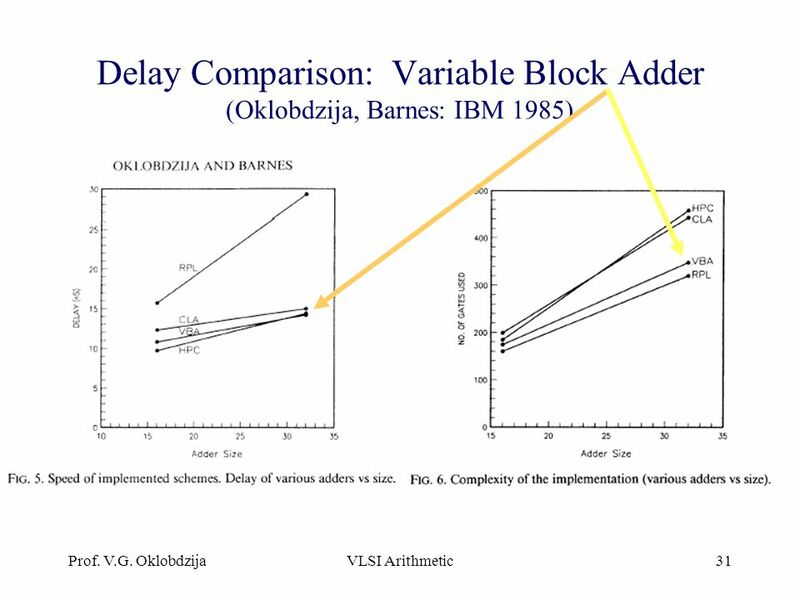 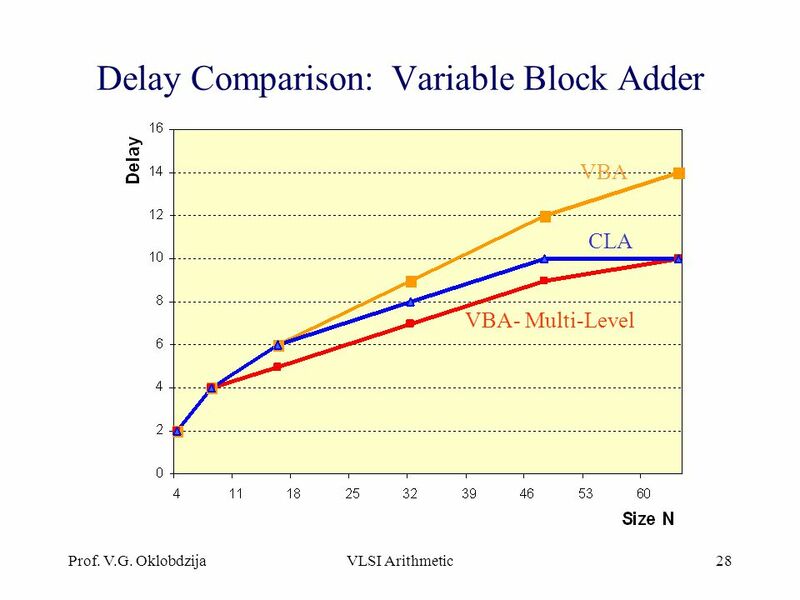 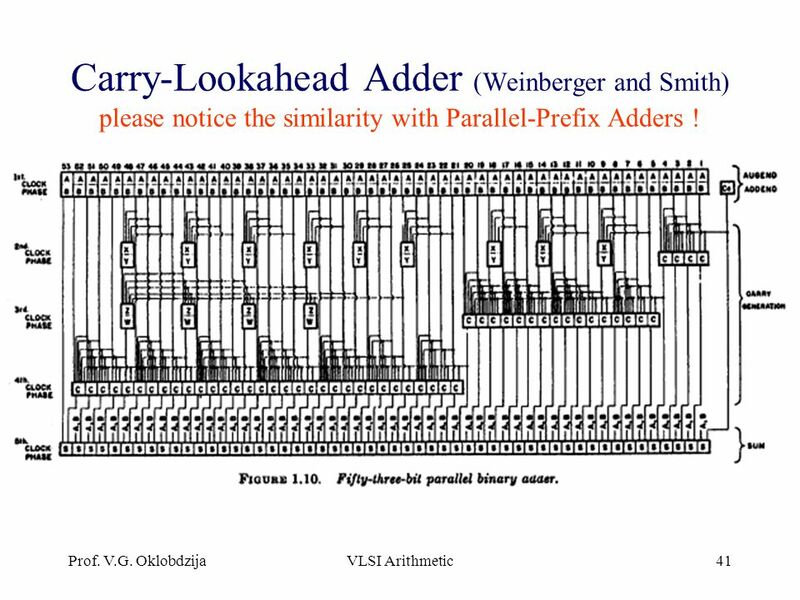 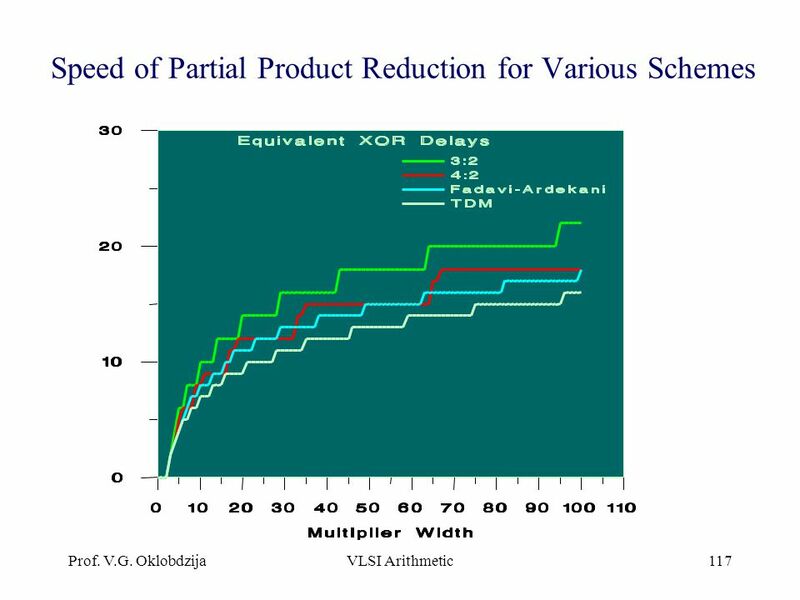 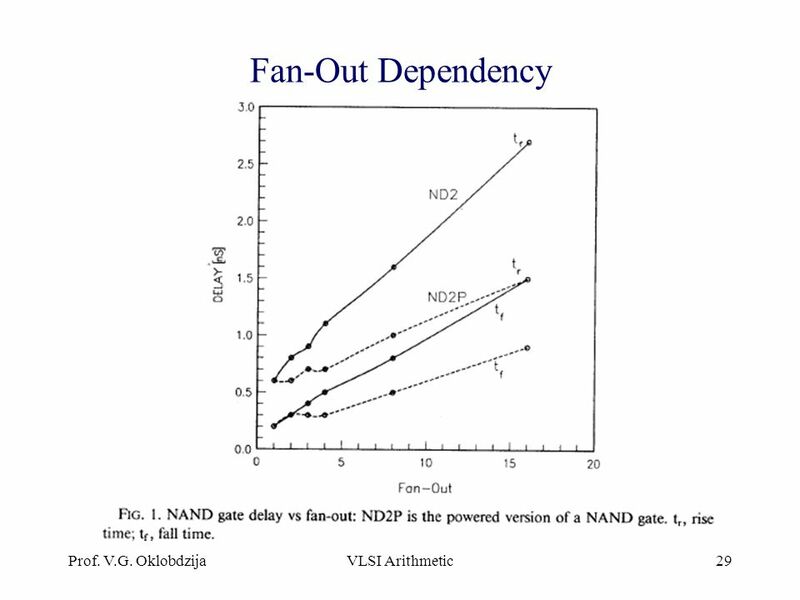 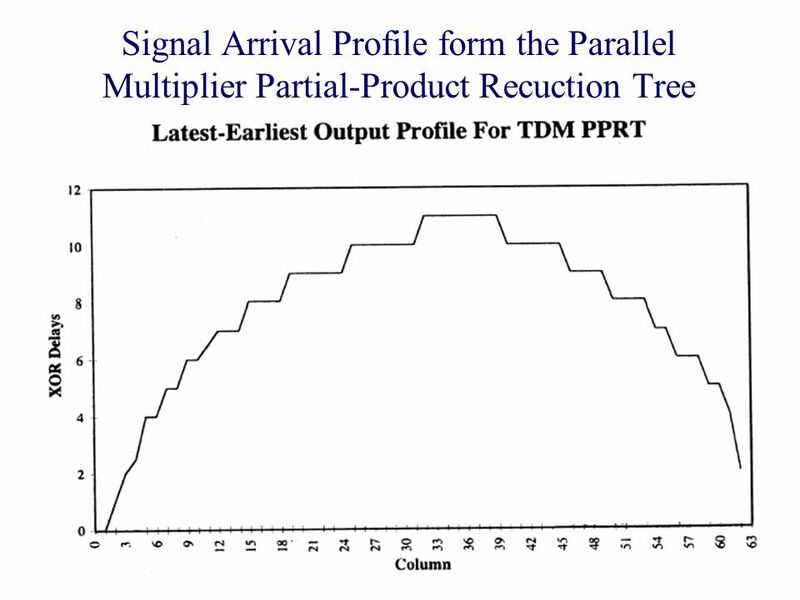 1 Design of a Parallel-Prefix Adder Architecture with Efficient Timing-Area Tradeoff Characteristic Sabyasachi Das University of Colorado, Boulder Sunil. 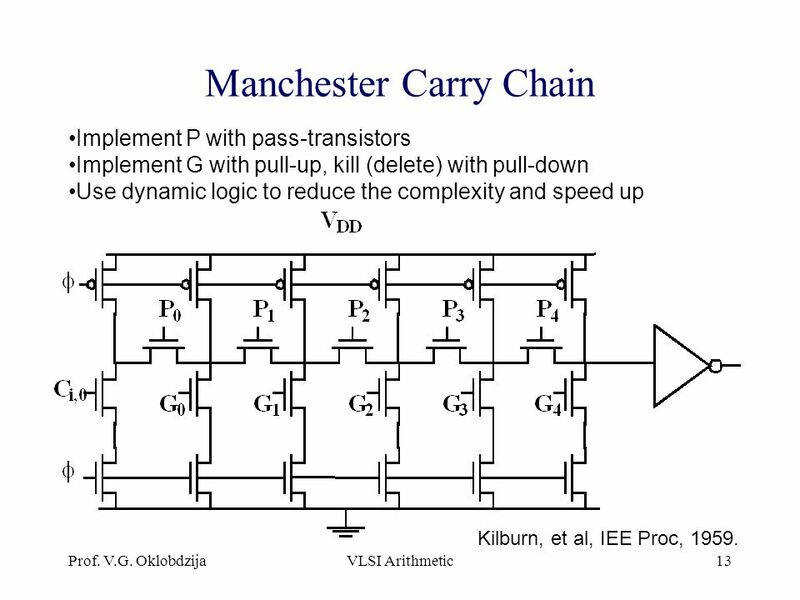 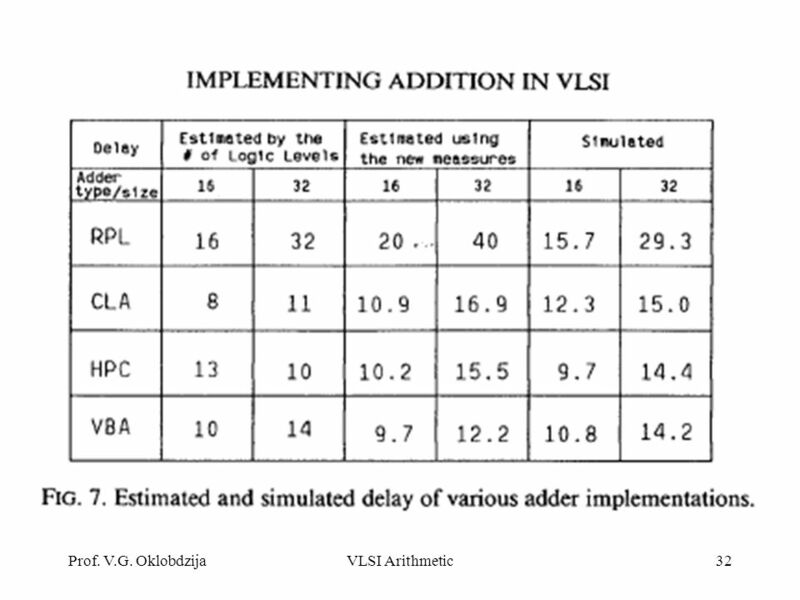 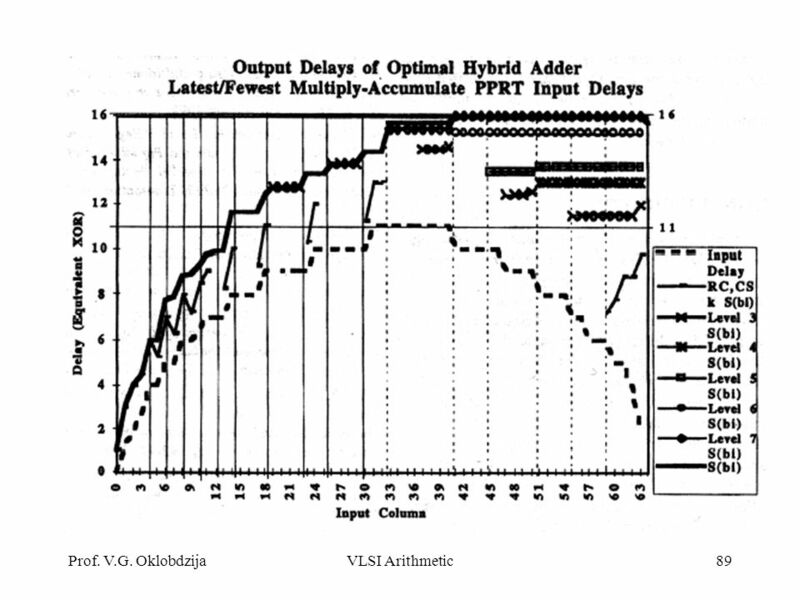 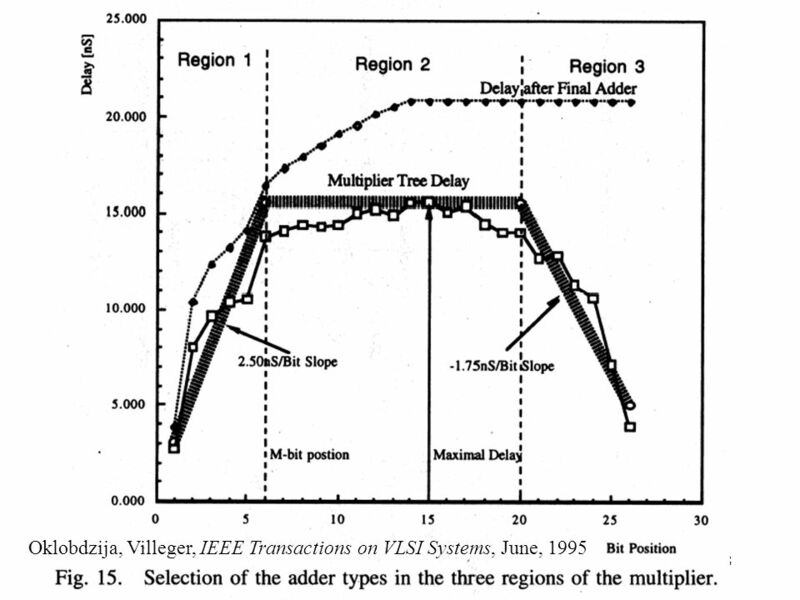 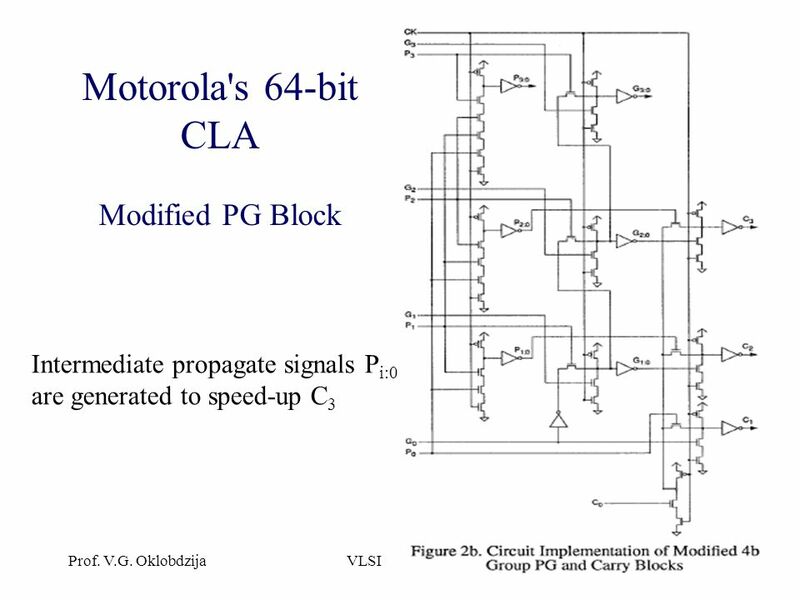 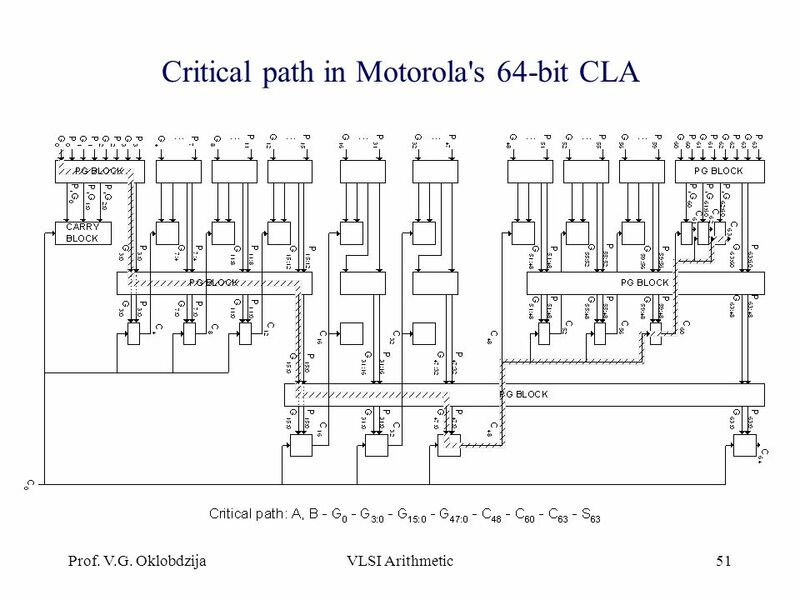 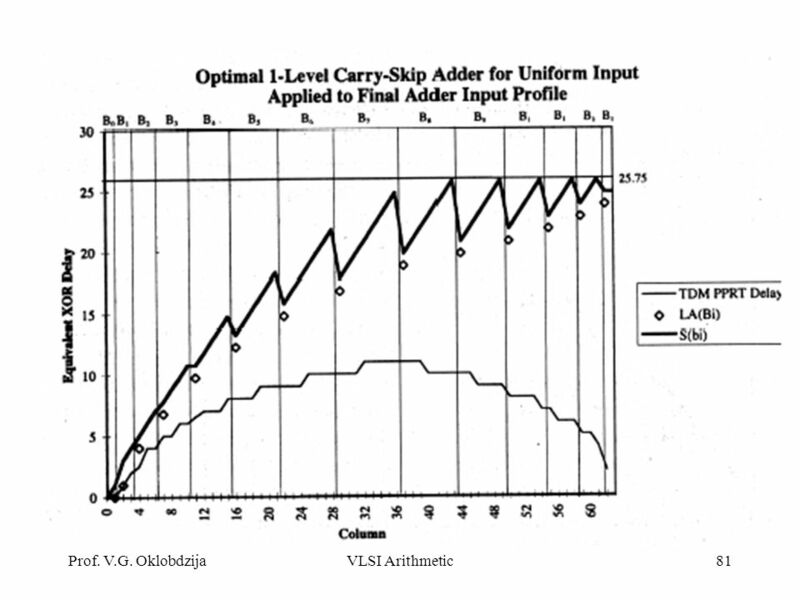 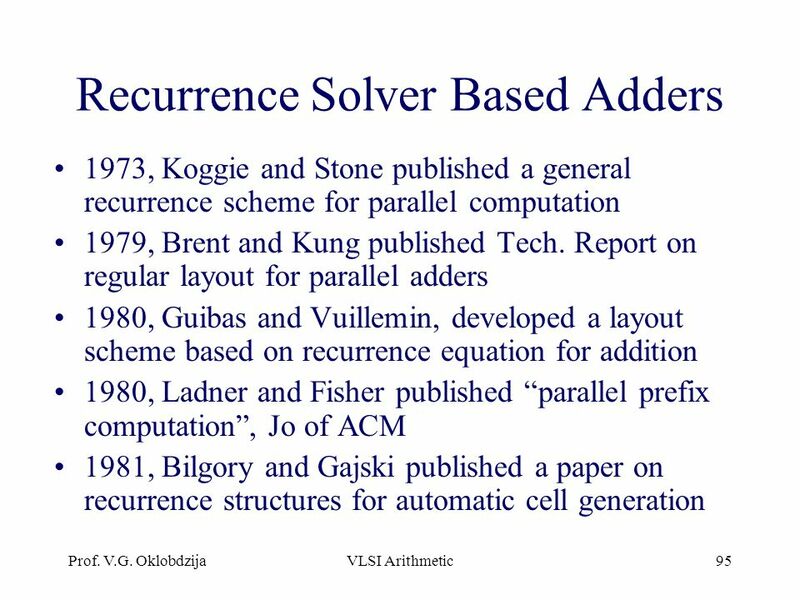 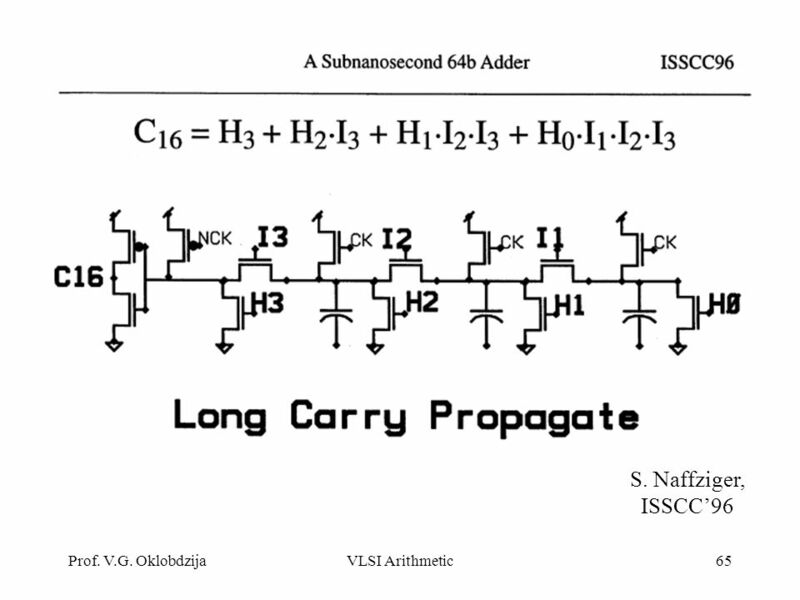 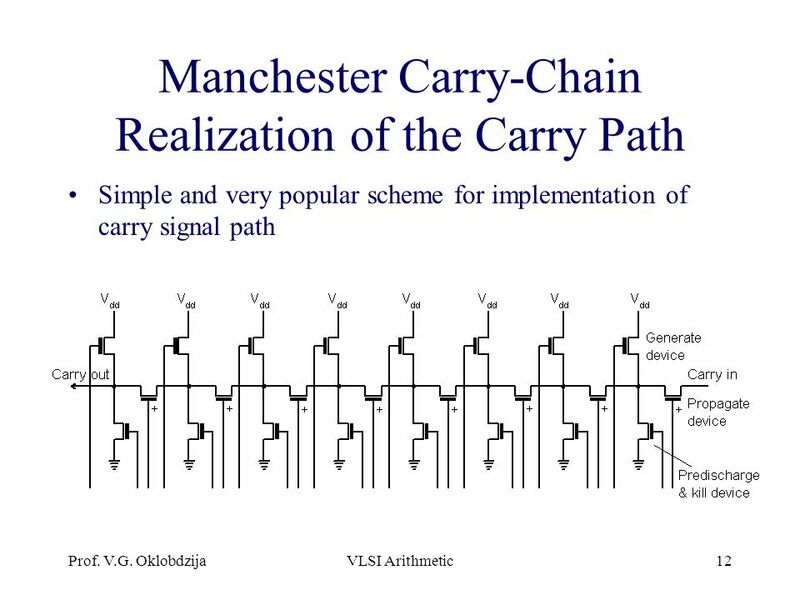 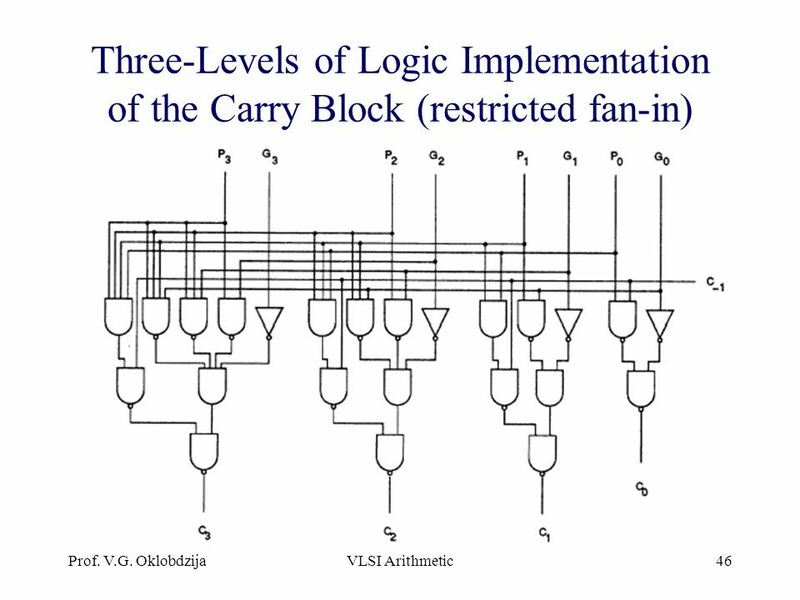 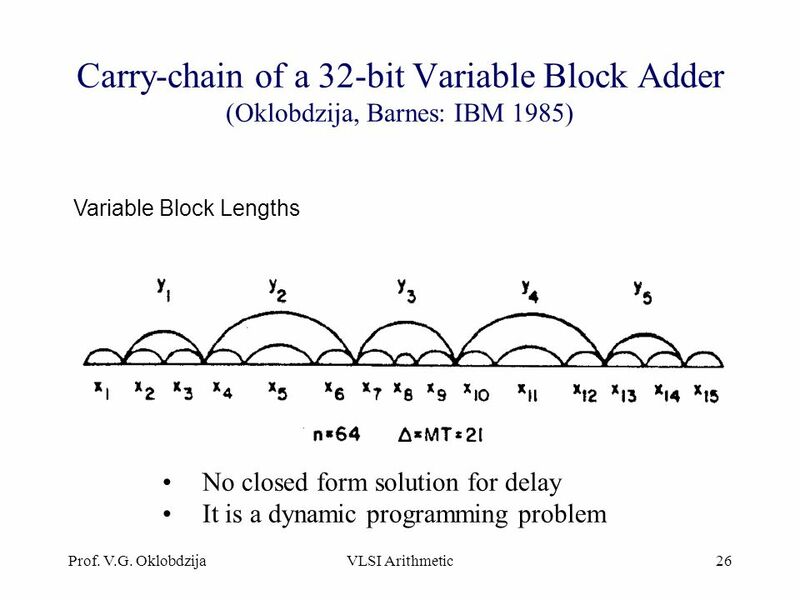 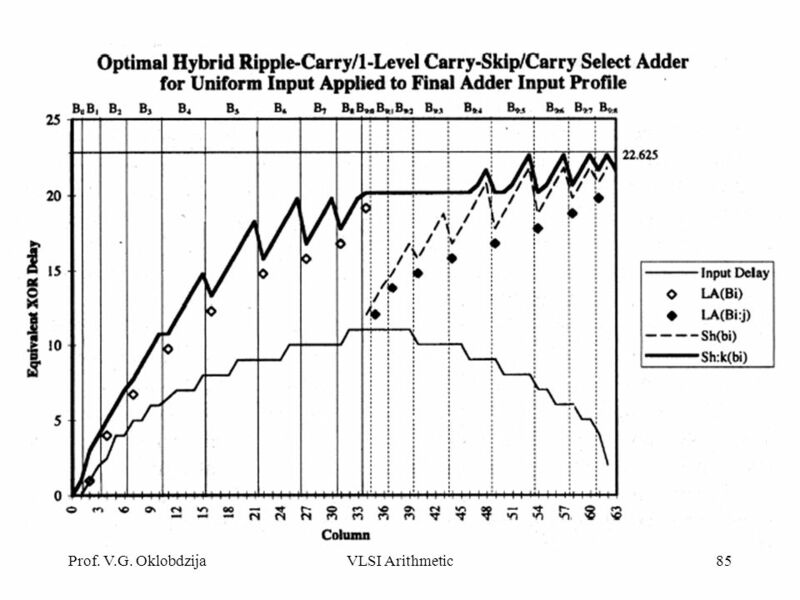 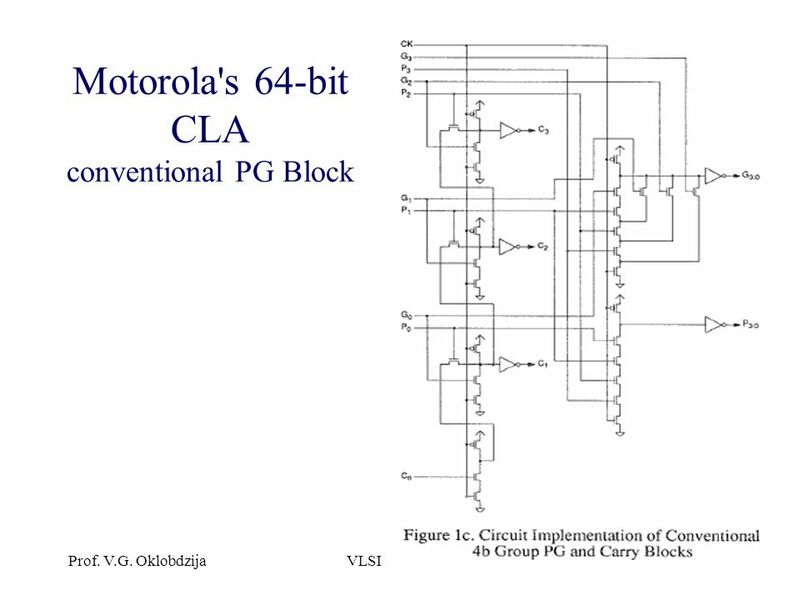 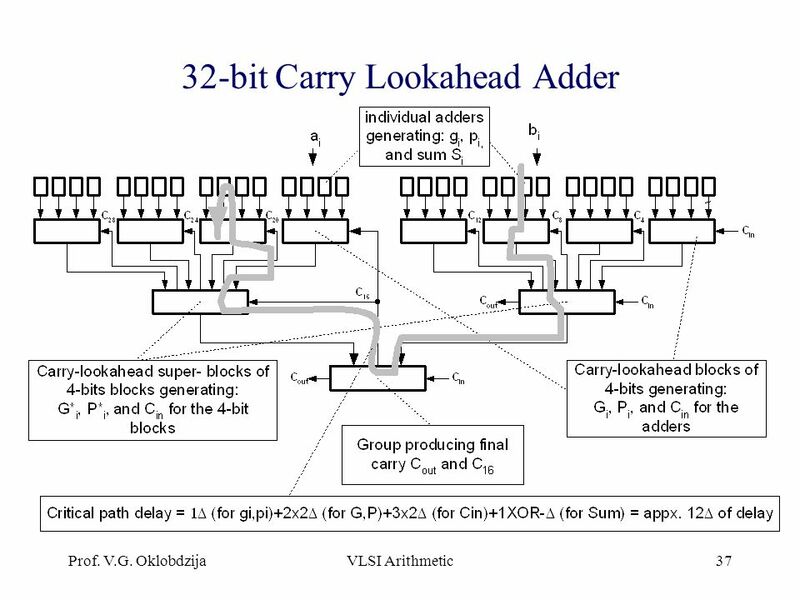 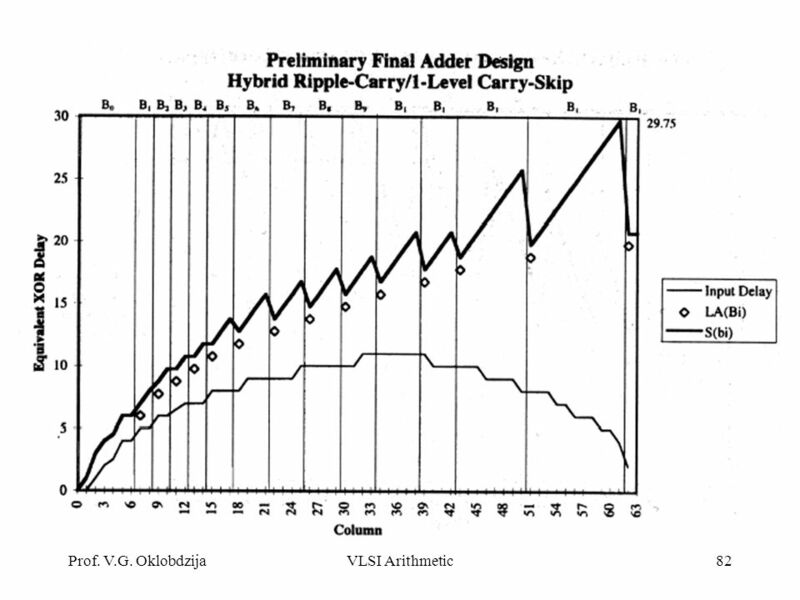 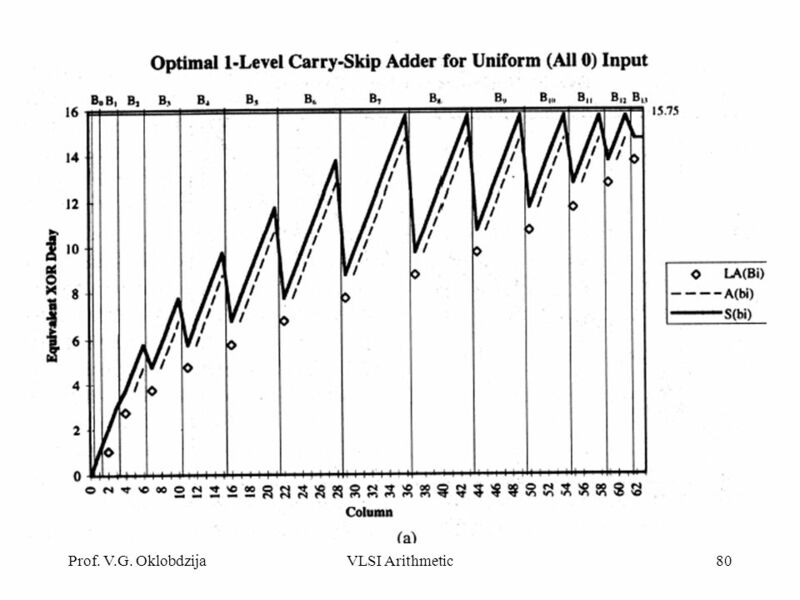 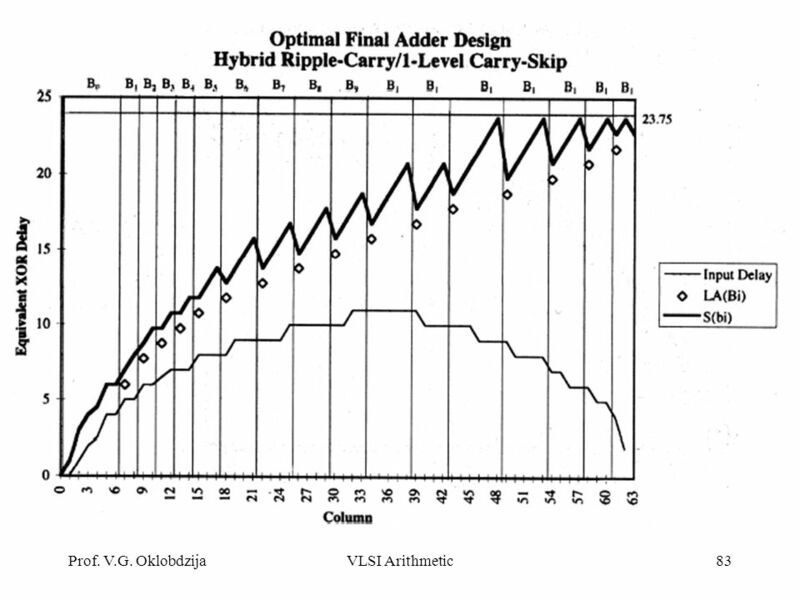 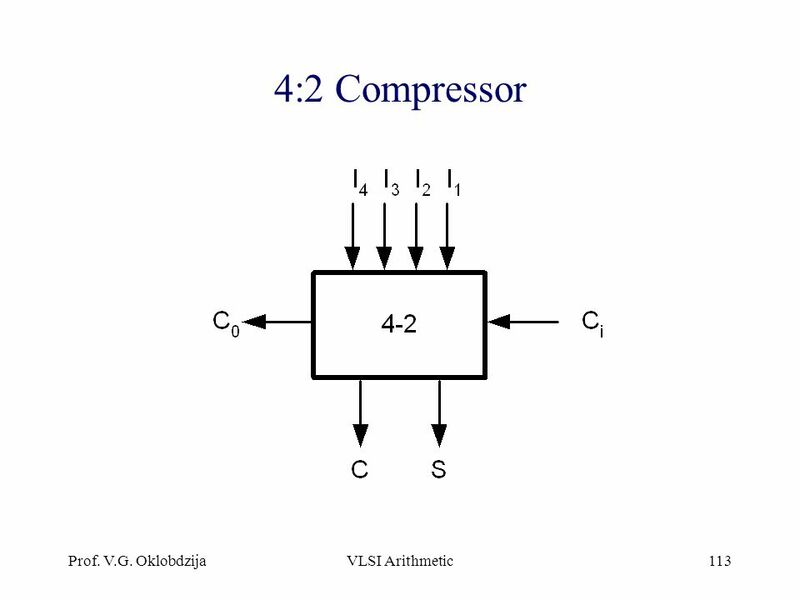 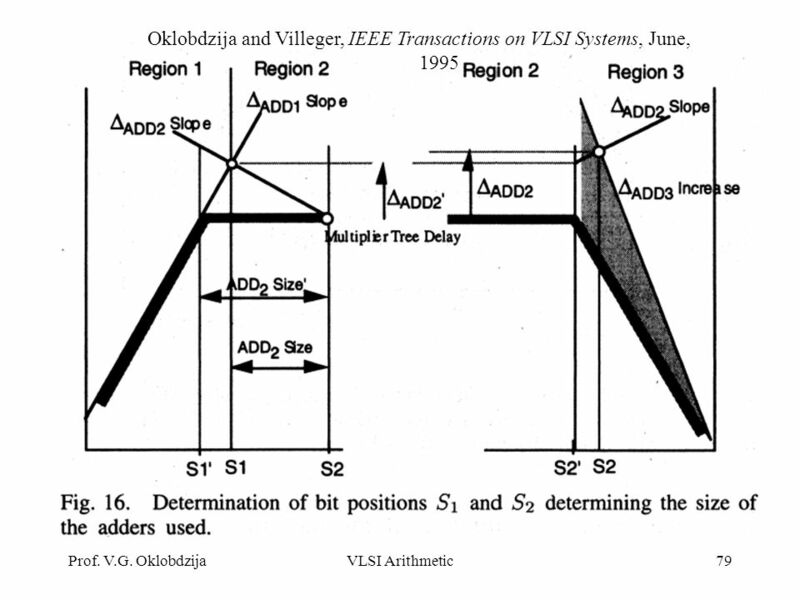 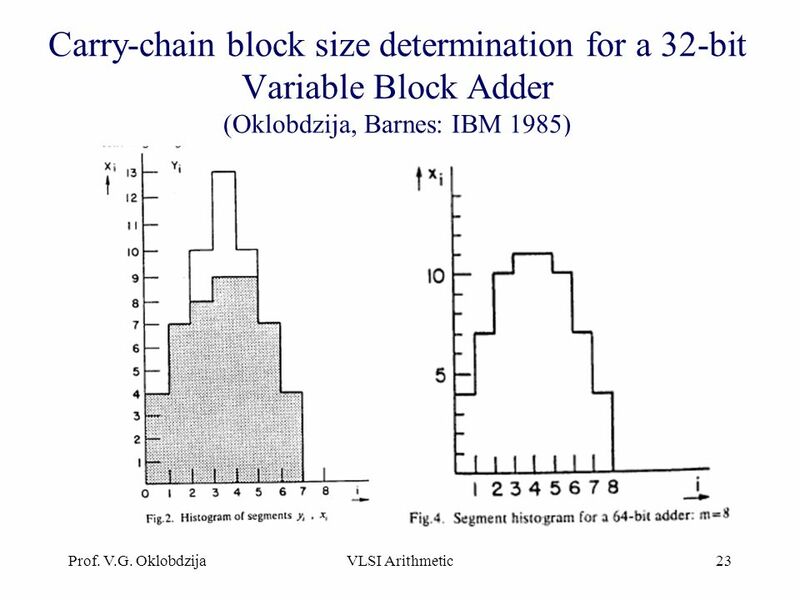 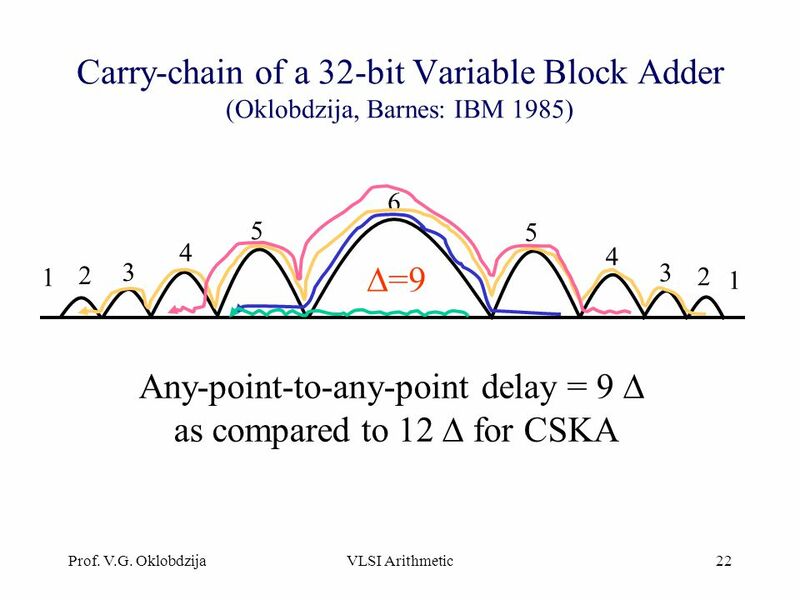 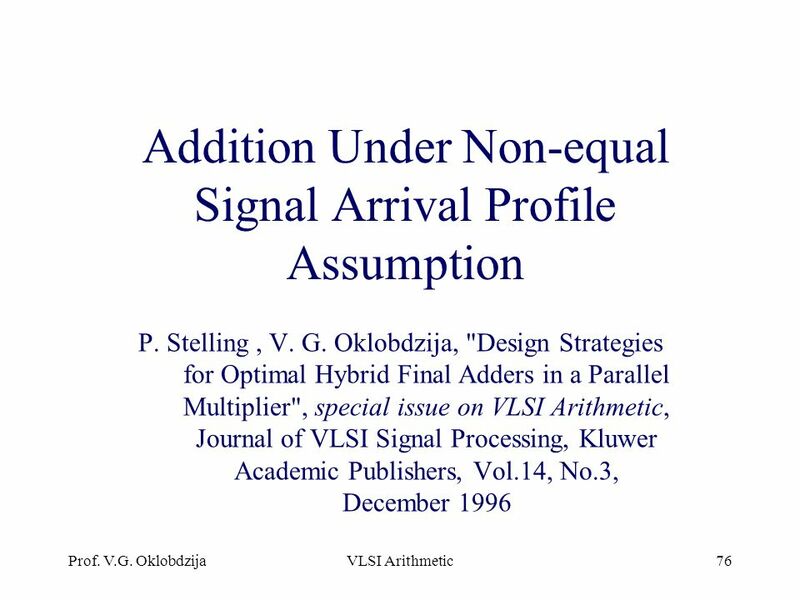 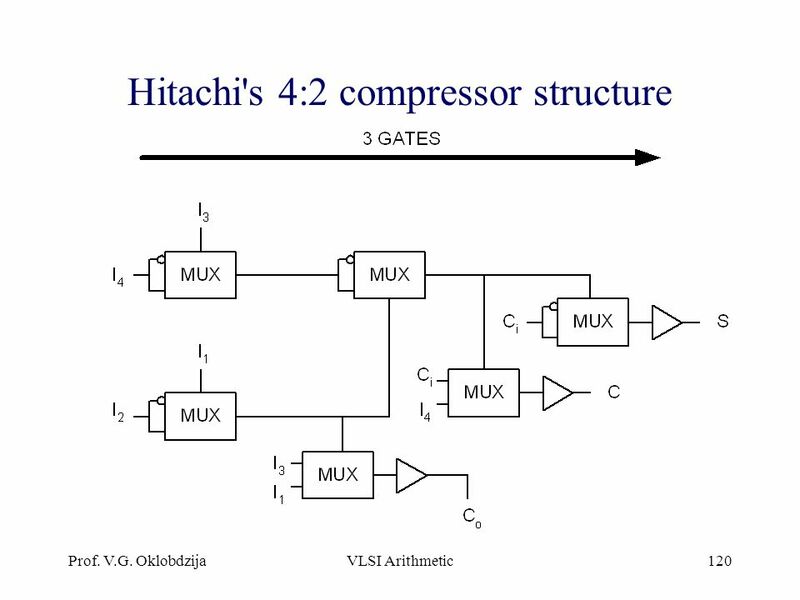 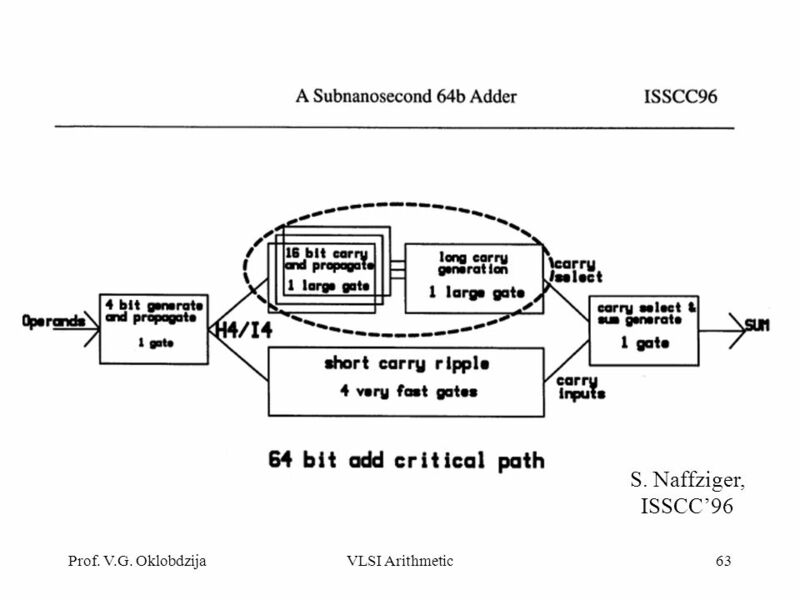 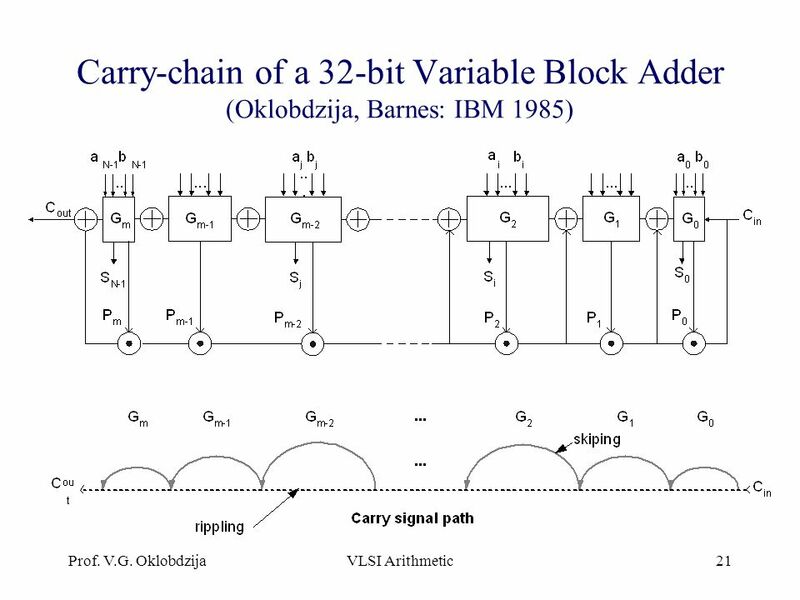 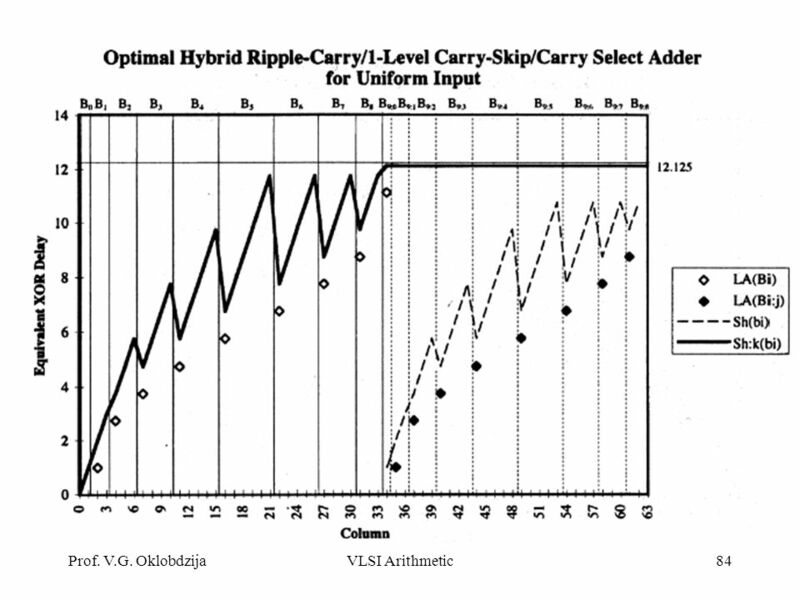 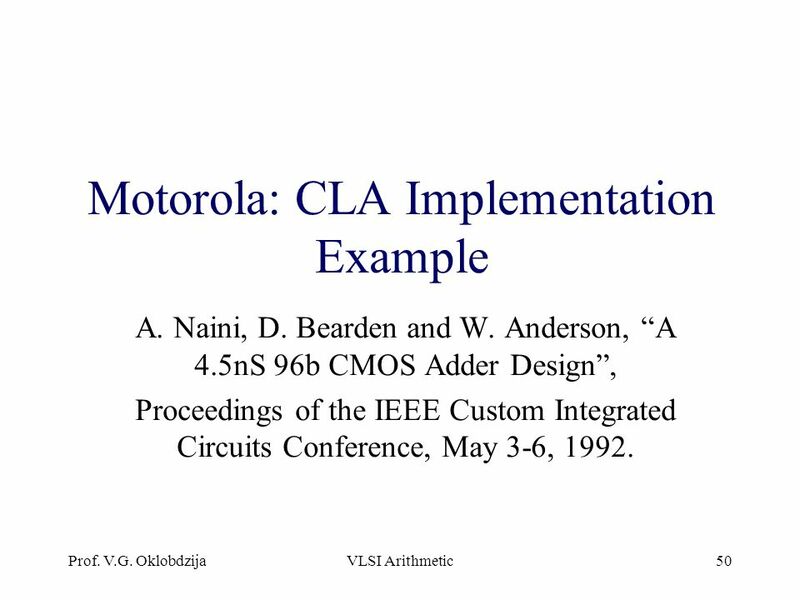 Modern VLSI Design 2e: Chapter 6 Copyright  1998 Prentice Hall PTR Topics n Shifters. 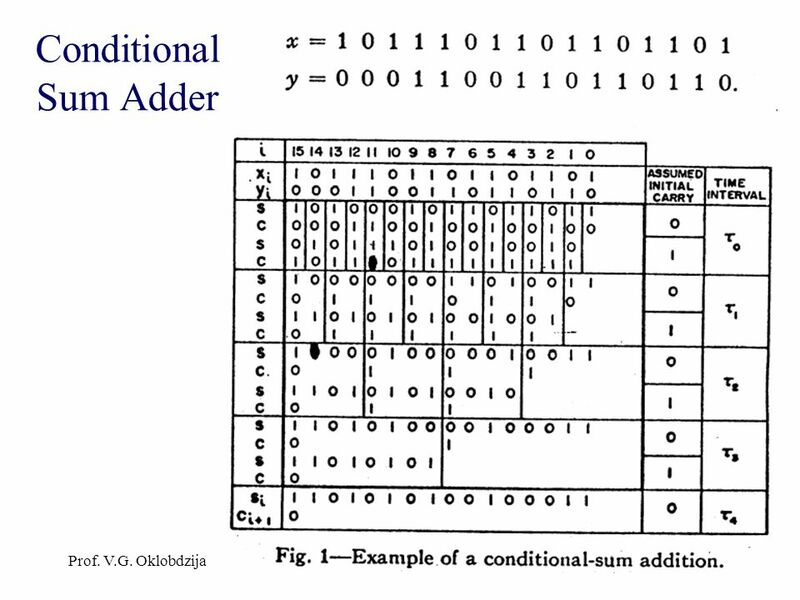 n Adders and ALUs.